I was up fairly early and packed away a damp tent before setting off along the shingle beach to Seascale. I walked past the ‘street’ of houses built at the back of the beach, actually on the beach. 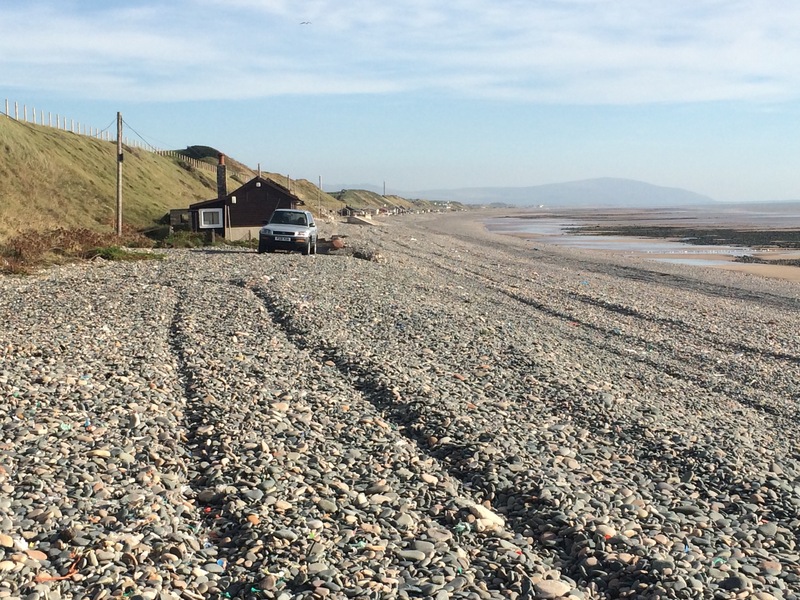 The shingle has tyre tracks along it where all the owners drive to their houses. The Cumbria Coastal Way heads off the beach and along a footpath that uses the railway bridge to cross the River Ehan flowing down from Ennerdale Water. Here it all got a bit confusing as yet again the path sea-side of Sellafield Nuclear Power Station seemed to disappear. I found the odd path marker and a couple of stiles but eventually I ended up fighting my way down a steep bank through brambles and ferns that ripped my legs to shreds. I came out at Sellafield train station and then got a telling off from the man in the signal hut. 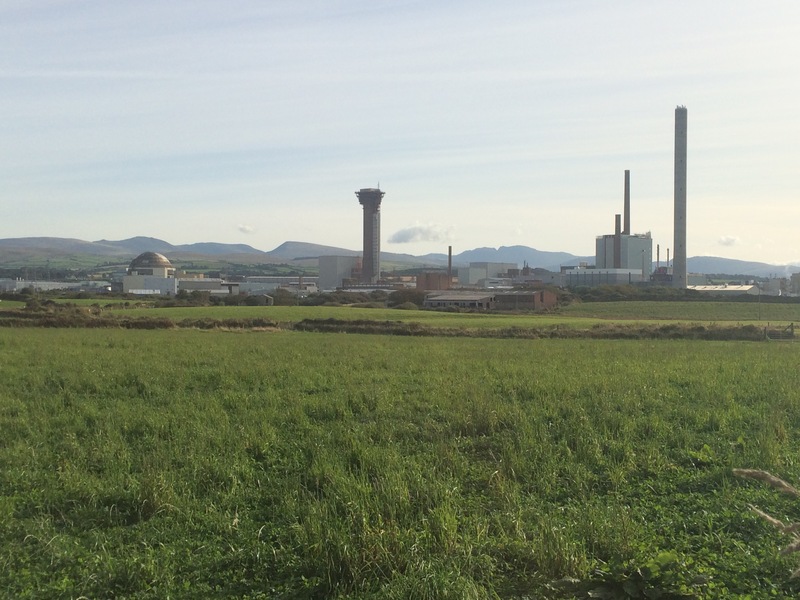 I was trespassing on nuclear power station land. I pointed out there was a way-marked path (sort of) and I hadn’t climbed any fences, only stiles made for walkers. I was still trespassing. He allowed me out of the locked gate and onto the cycle path leading to Seascale. 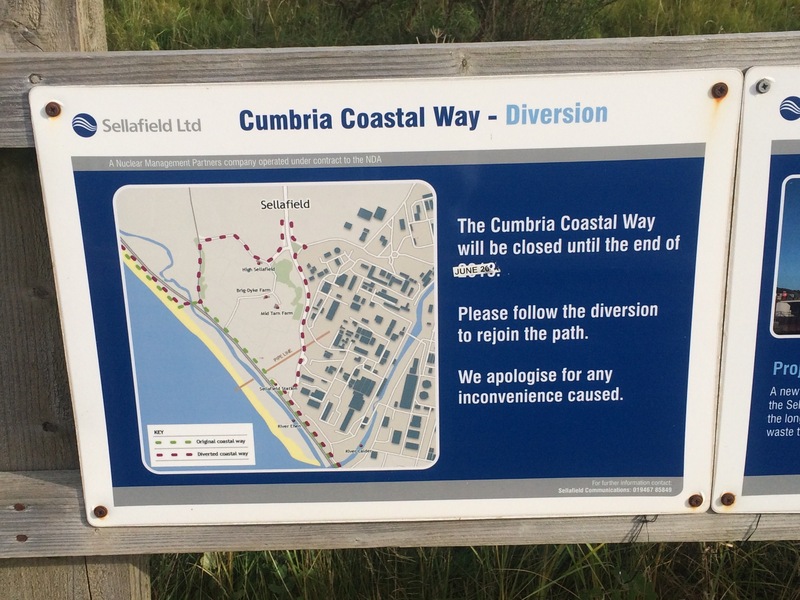 Here I saw a sign informing that the Cumbria Coastal Way was closed until further notice and giving a diversion route. Pity there wasn’t a corresponding sign at the other end as it would have saved my legs from numerous scratches! At least the cycle path was easy walking. I arrived in Seascale and headed to the first cafe for breakfast and a coffee, and to wash my wounds. After a long break I stuck to the minor roads for the next bit to Drigg as I had to go inland a little to cross the River Irt. 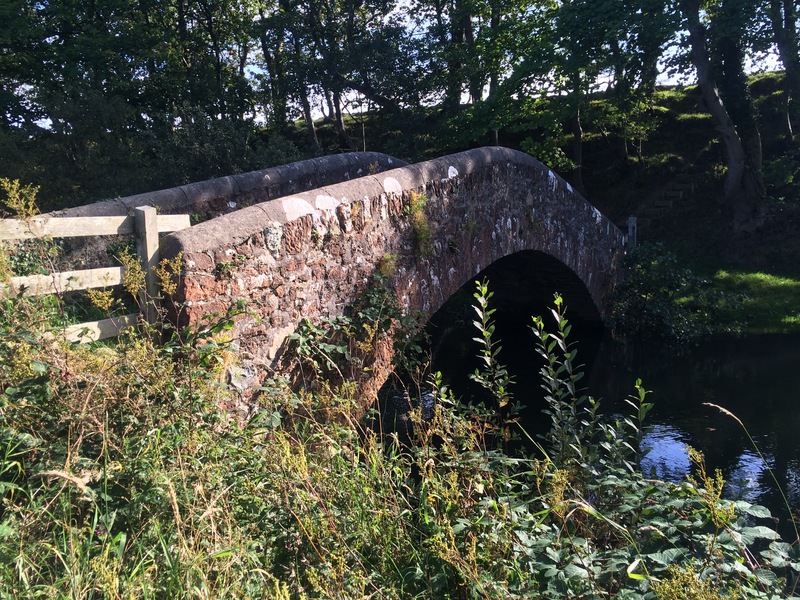 The first foot bridge is the Drigg Holme Packhorse Bridge that was built in 1772, although there has been a bridge here since Mediaeval times. 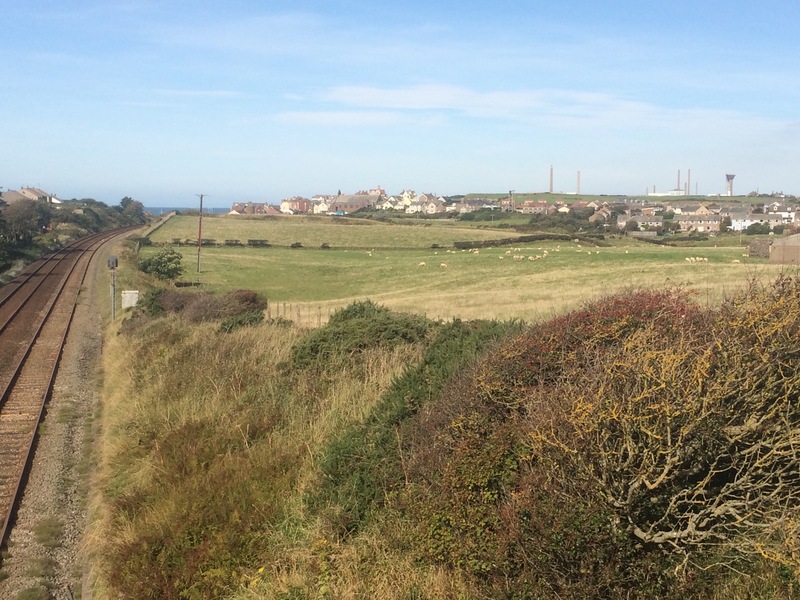 I walked the farm tracks back to the coast at Saltcoats. 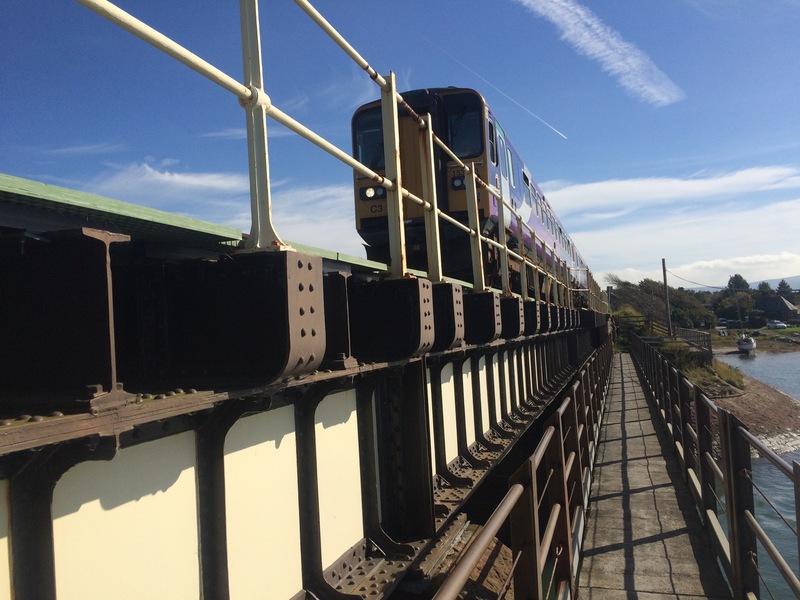 Here the foot and cycle path crosses the railway bridge over the River Mite to Ravenglass; the only coastal village in the Lake District National Park. 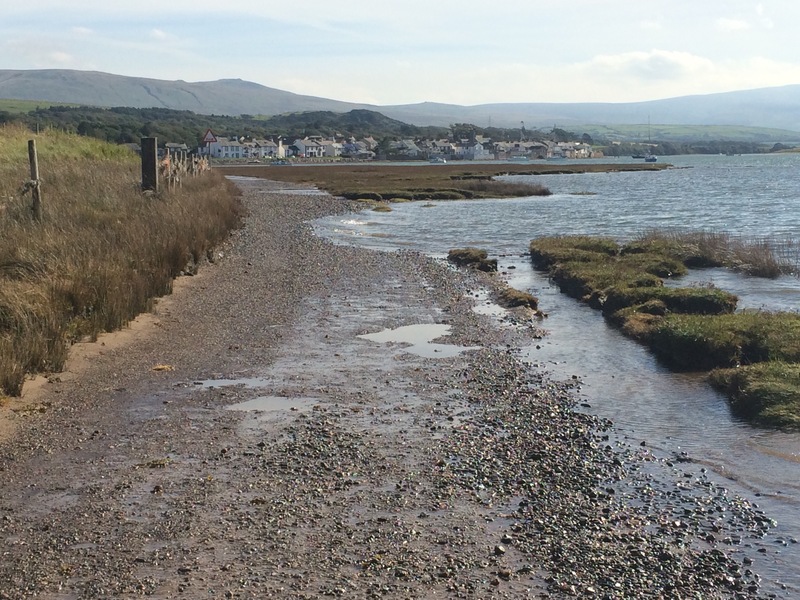 Ravenglass was the last defence point of Hadrian’s Wall and a significant Roman settlement, complete with Bath House. 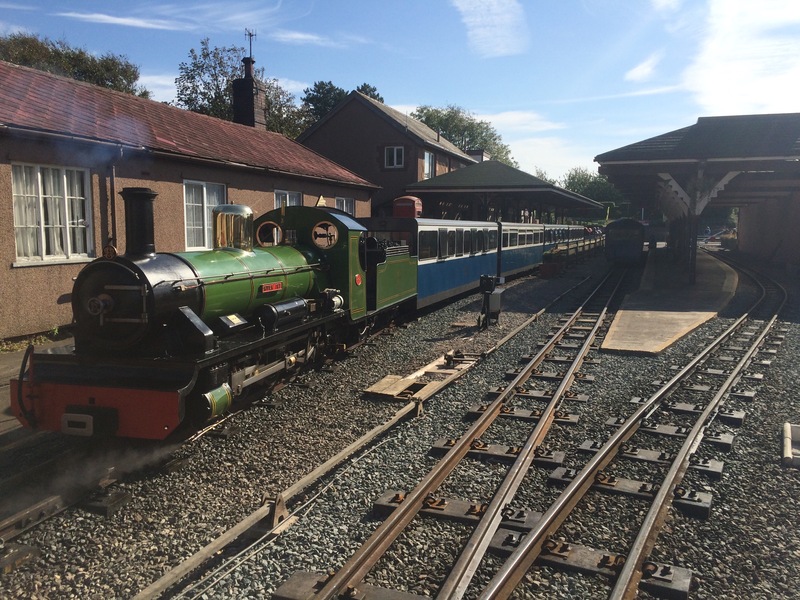 It is also the start of the Ravenglass and Eskdale Narrow Gauge Railway. I popped into the station to look at they trains and the next one left in 20 minutes. What a chance for a couple of hours off enjoying the scenery from an open air carriage. It was an opportunity not to miss! 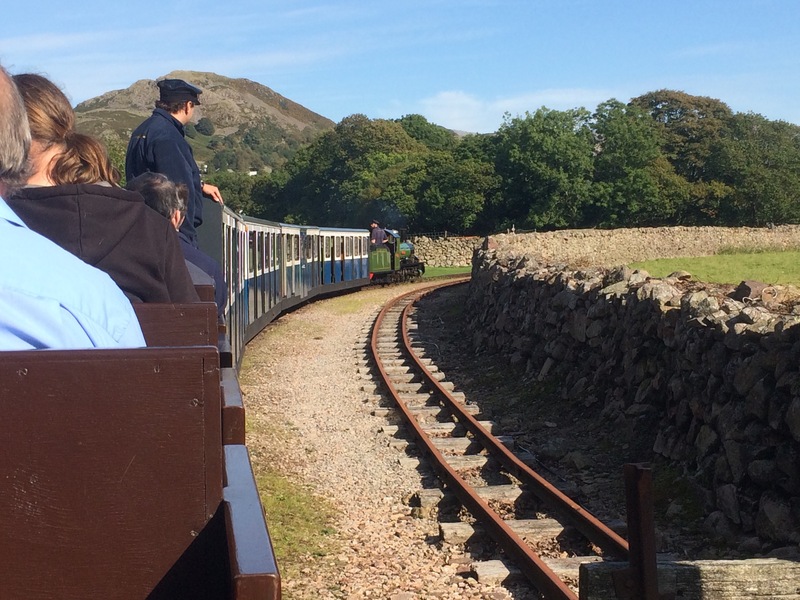 I had a lovely trip up the Eskdale Valley to Dalegarth, a quick stop for an ice cream, and then the trip back down to Ravenglass. Wonderful. 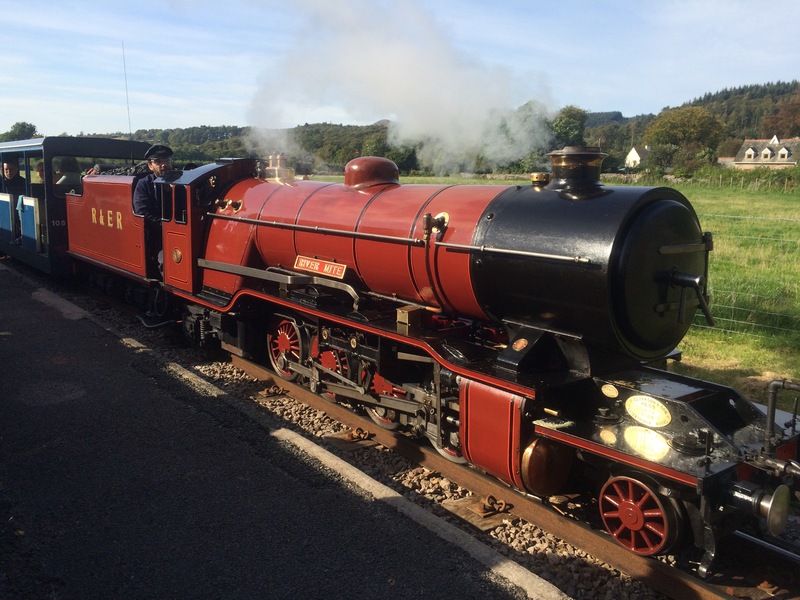 I left Ravenglass at 3.30 pm and still had a long walk up the Esk estuary, through the Muncaster Estate, until the first bridge over the river. There were options to cross the River Esk at a couple of points but I’d rather walk further than wade through mud. 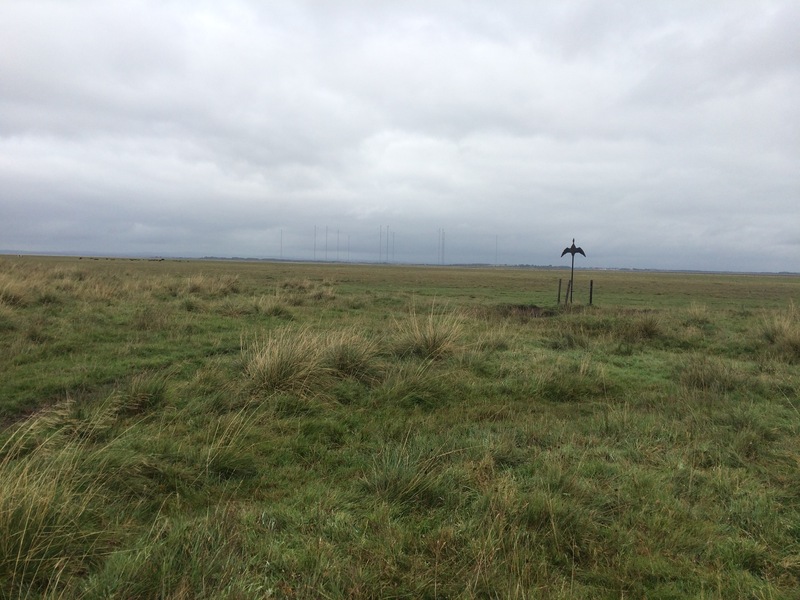 Once I’d crossed the river via the A595 it was a short walk across marsh land to Newbiggin. 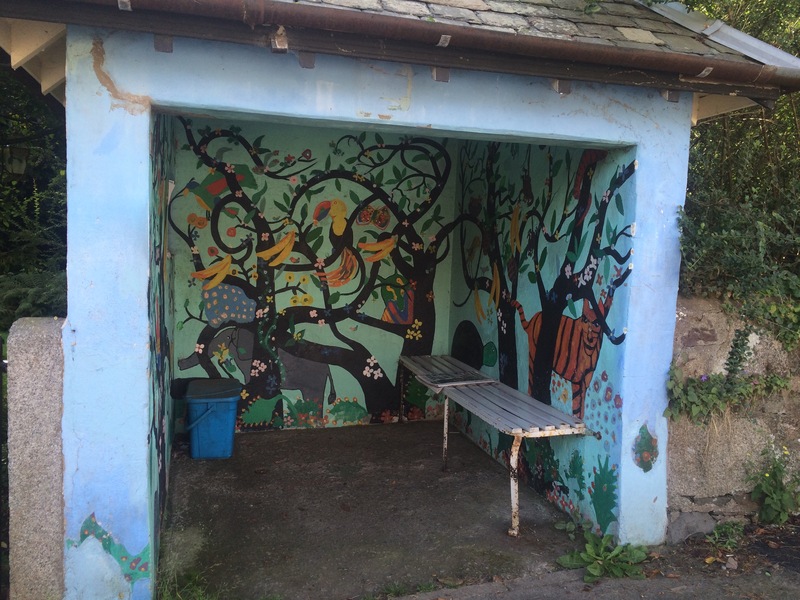 The campsite was basic and the facilities were in the farmyard. The farmer and his helper (who looked about 90) were really nice, even though I inconveniently arrived at milking time. I was late so the tent went up quickly. 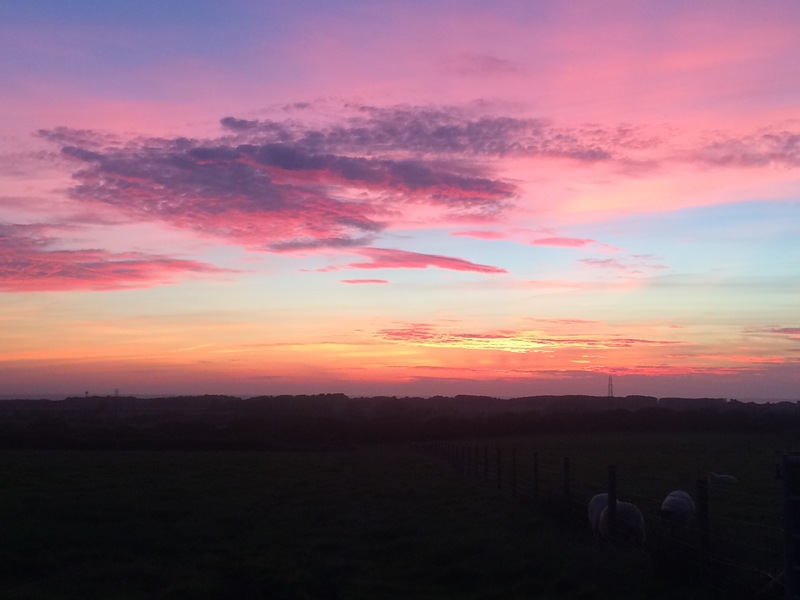 I admired the beautiful sunset and headed off a mile up the lane to The Brown Cow pub. I was the only one in there for most of the evening and the food portions were enormous. Just after 10 pm I set off back for the campsite in the pitch dark. I had travelled about halfway when a car came behind me and I turned into the hedge to avoid the lights. The car stopped. I turned around and there were 2 policemen who wanted to know what I was doing wandering down a country lane at night. They were very friendly as they interrogated me and my answers must have seemed too ridiculous to have been lies. We chatted for a bit and then Mark and Jonathan kindly gave me a lift (in the cab, not in the back) back to the farm. It had been a fun day. 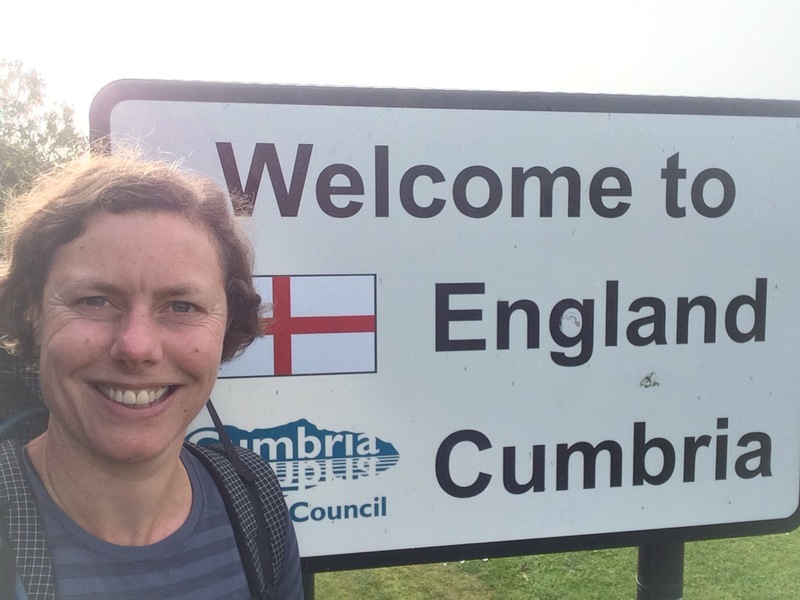 This week was my last day in Scotland and then on into Cumbria. 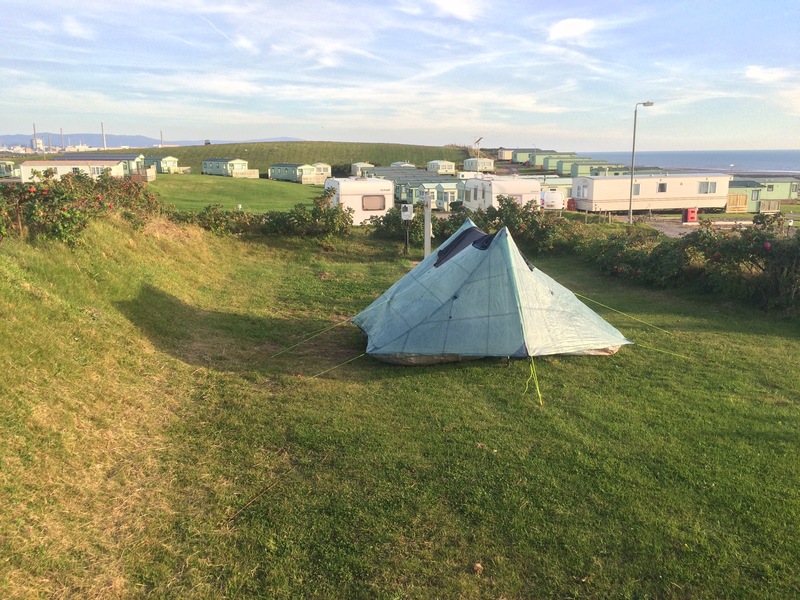 The weather has been really good, which is helpful for camping now that Autumn is here. It’s definitely colder and damper at night and I am ore conscious of it getting dark earlier (not so good for drying washing and towels at the end of a long day). 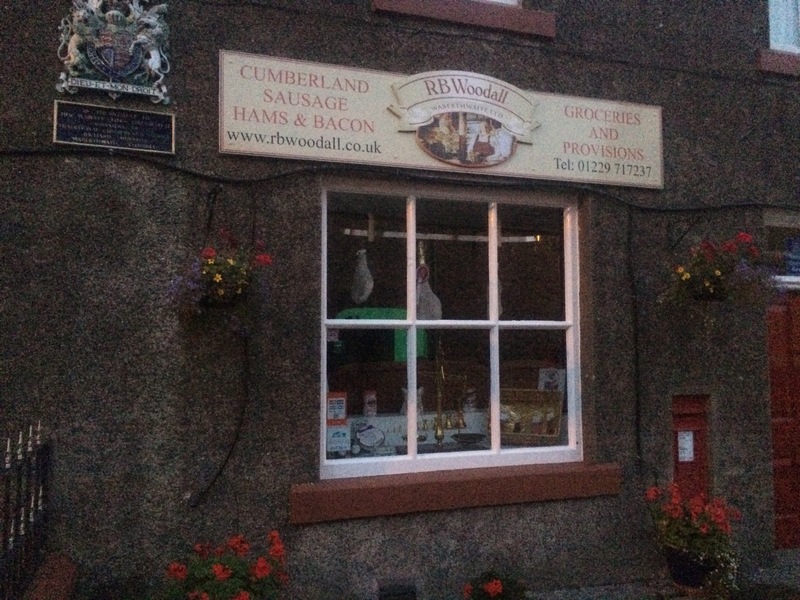 As for the Cumbria Coastal Way…well, they shouldn’t advertise it! It doesn’t really exist in most places, generally wherever the way gets a little more difficult. A good game around here is spot the CCW sign. Still, despite suffering from a cold, another great week with wonderful scenery and some help from friends. 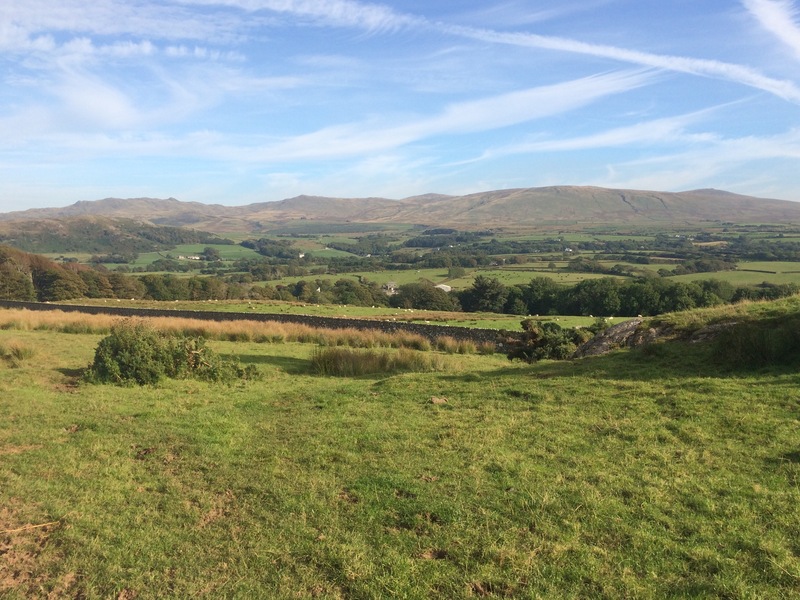 What a beautiful, sunny day for a drive through the Lake District. Jenny kindly drove me all the way back to Whitehaven to start walking again and it was a lovely drive via Keswick with great views of the mountains. 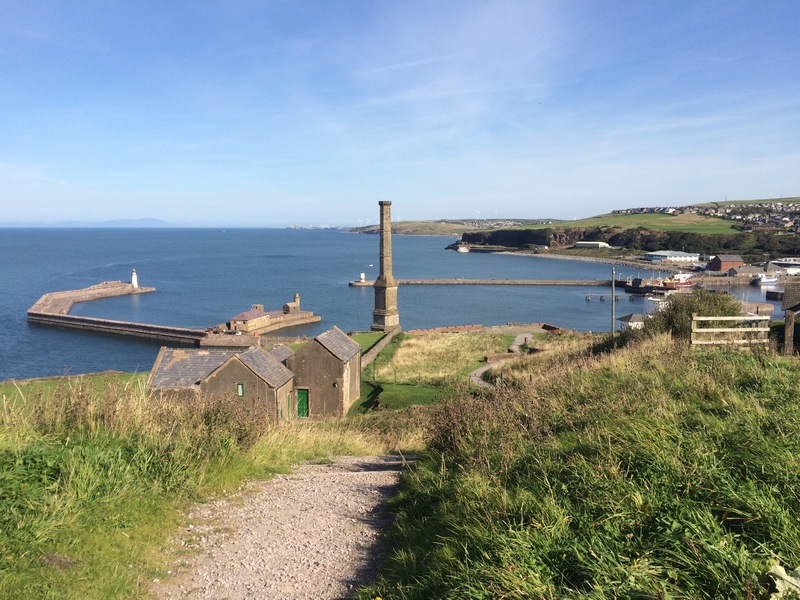 As it was Sunday, Whitehaven was quite peaceful and the views across the harbour were lovely. 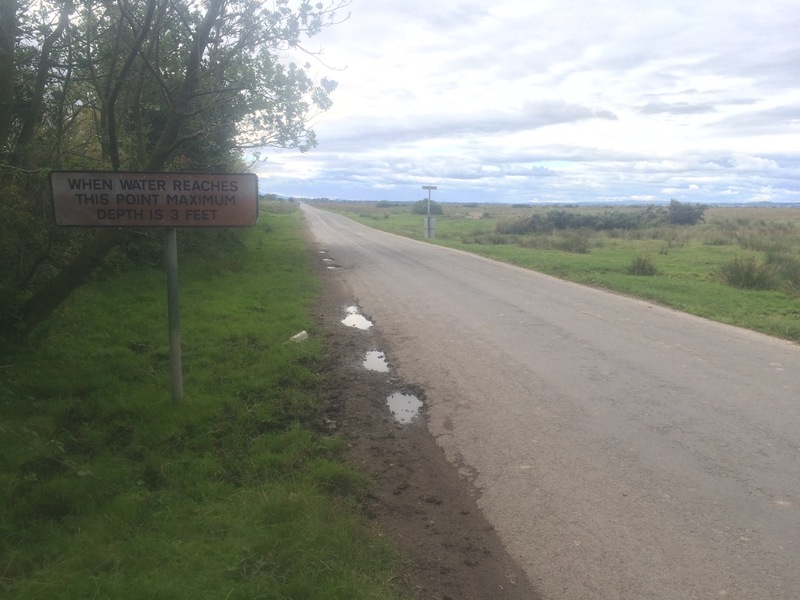 When I cycled the Coast-to-Coast in 2010 we started our ride from here and I had been told that it was good luck to take a stone from one coast to the other. 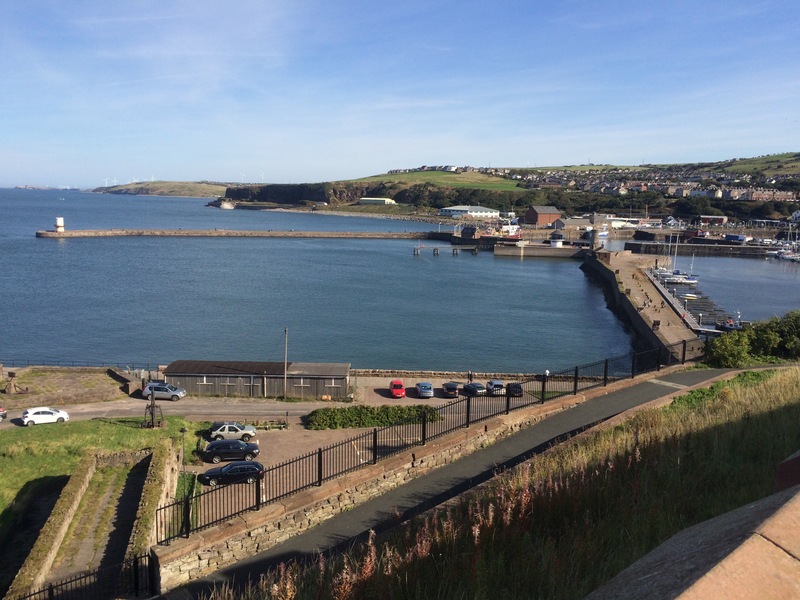 When I was in Robin Hood’s Bay I found the smallest stone possible and carried it all the way around with me so I threw it into the Whitehaven harbour. 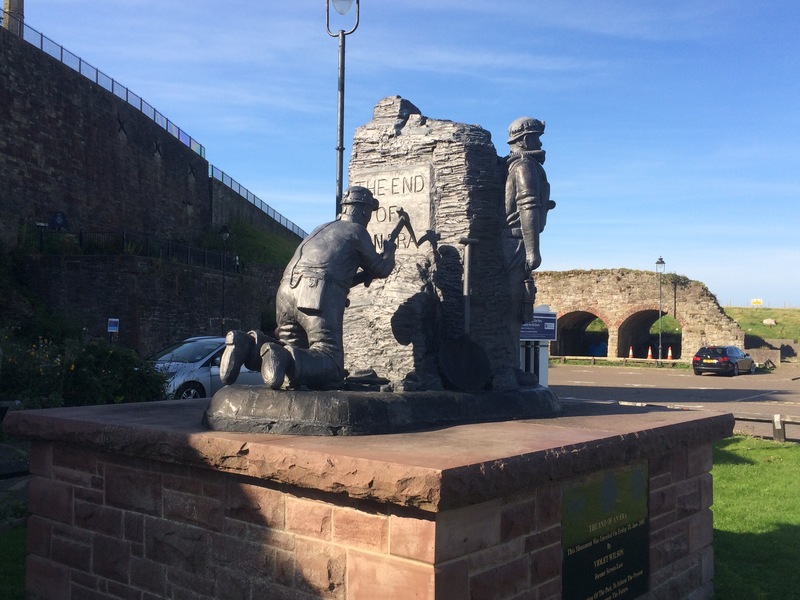 The Candlestick was rather imposing on the cliff and there was a monument to signal the end of mining at Whitehaven when the Haig Pit closed in 1986. 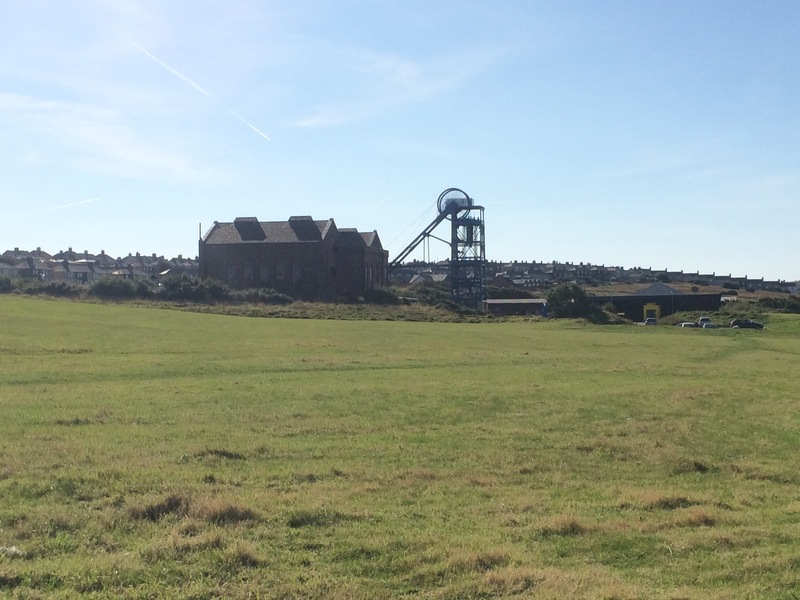 There was a steep climb up the cliff to the site of the coal pit, which is now a museum. 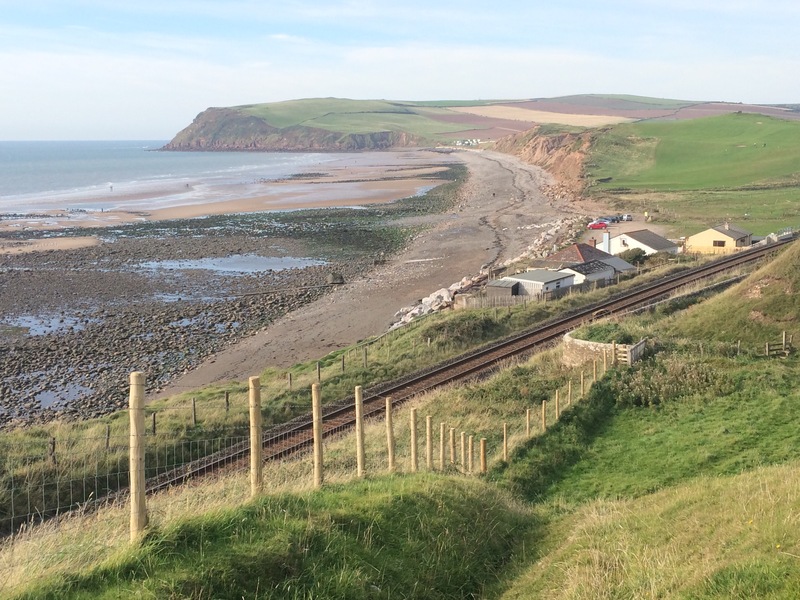 From here it was more uphill to get around St Bees Head, which looked beautiful in the sunshine. 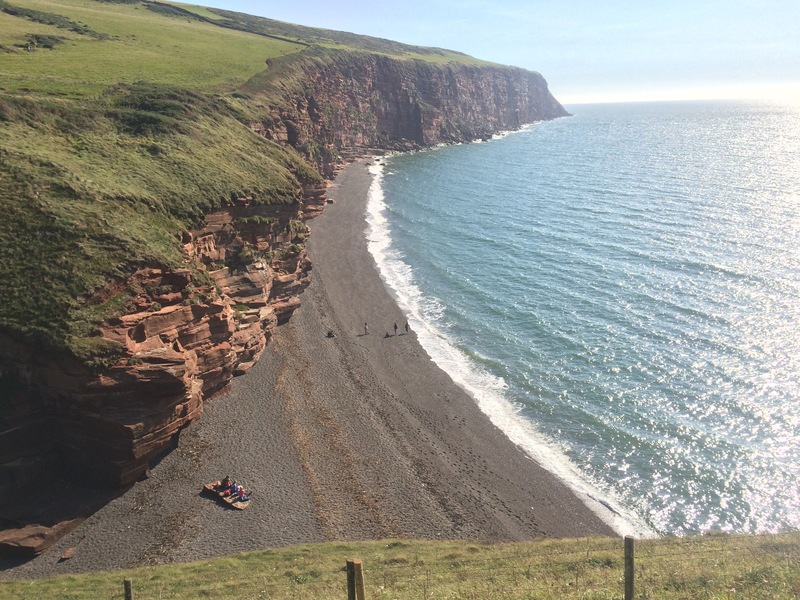 It was an excellent, and well travelled, cliff top walk. 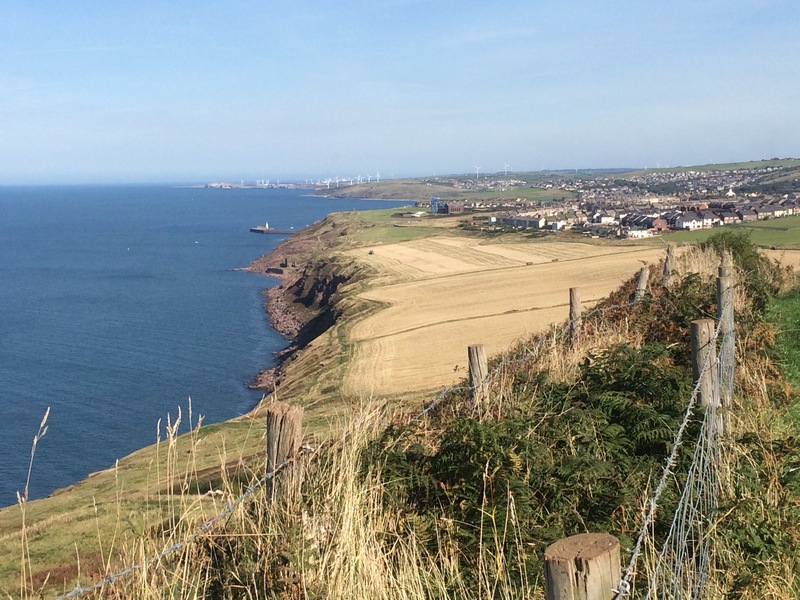 The views across the sea and back to Scotland were outstanding on such a sunny day. Of course if I had the added bonus of great views of the mountains if I looked inland. It doesn’t get better than this. 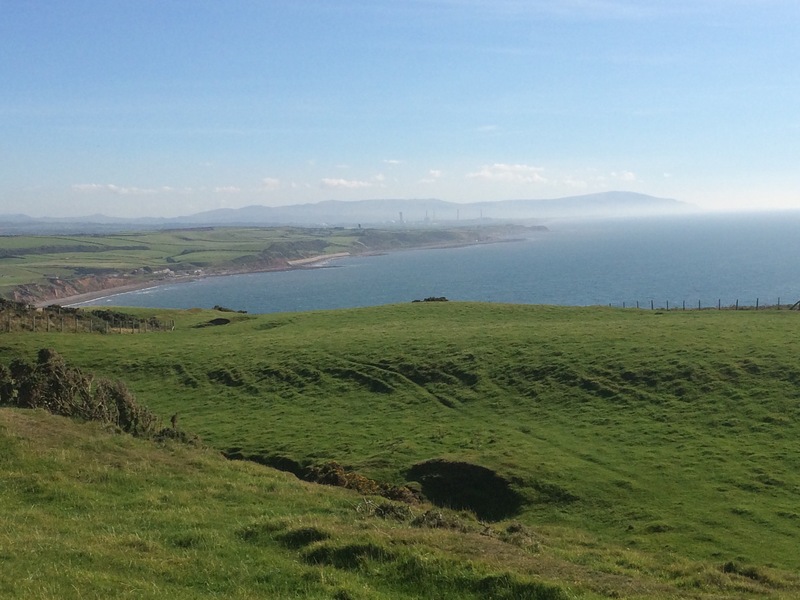 As I rounded St Bees Head I waved goodbye to Scotland and looked ahead towards Sellafield Nuclear Power Station and Morecambe Bay. There was a beautiful little beach tucked into the cliffs between North and South Head and there were a few people sat enjoying the day. 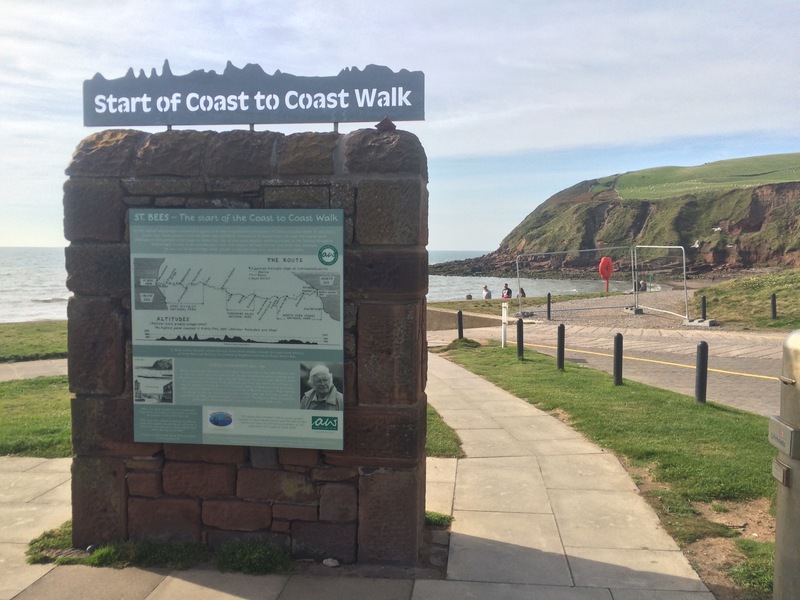 I carried on to the town of St Bees, the actual start of Wainwright’s Coast-to-Coast walk. I think people thought that’s what I was doing. I decided to stop here and get a late lunch at the cafe as I didn’t think I’d find anywhere to eat near the campsite (this proved to be a good decision). 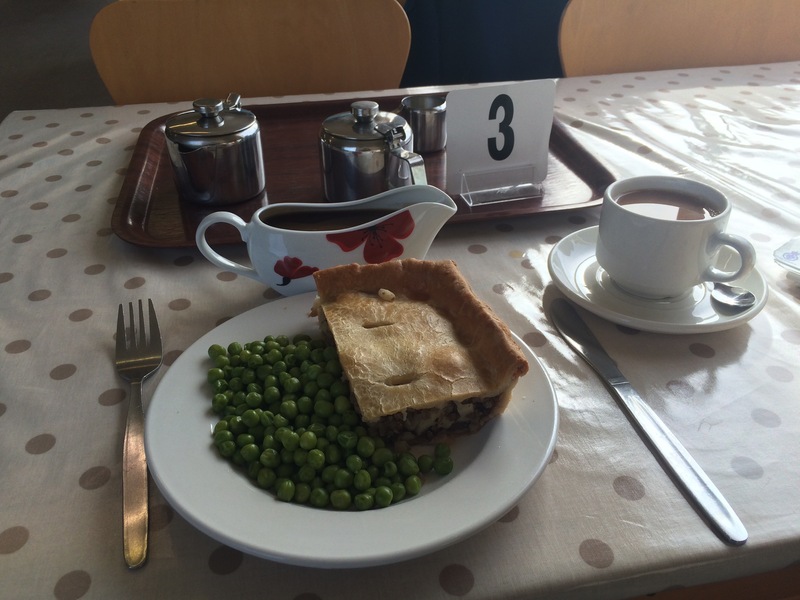 So Slab pie and peas it was for me. 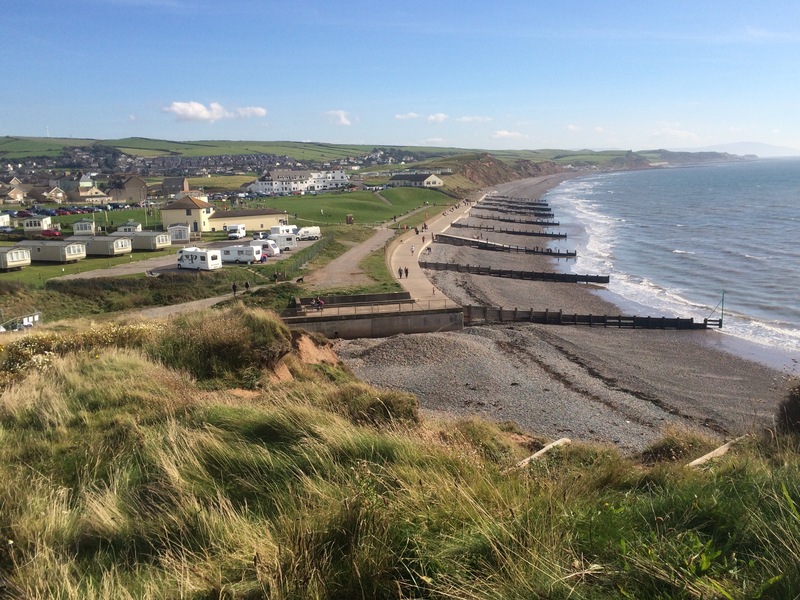 From St Bees I walked a mixture of the stony beach and the cliff top or minor roads, depending on whether a path was visible across the fields or not. It looks like some of the cliff top path has been eroded away. The last section was along the shingle beach and I was surprised to see a long row of houses built on the beach. The ‘road’ is just the beach and most cars were 4x4s. Very strange. In the middle of this ‘street’ of houses was Braystones train station and the entrance to my campsite for the night. Great views. I was grateful for a lie in. Mark had to work at a shooting range in Yorkshire so Jenny and I dropped him off and headed into Ilkley. It was strange to be in Yorkshire, which borders the East coast. 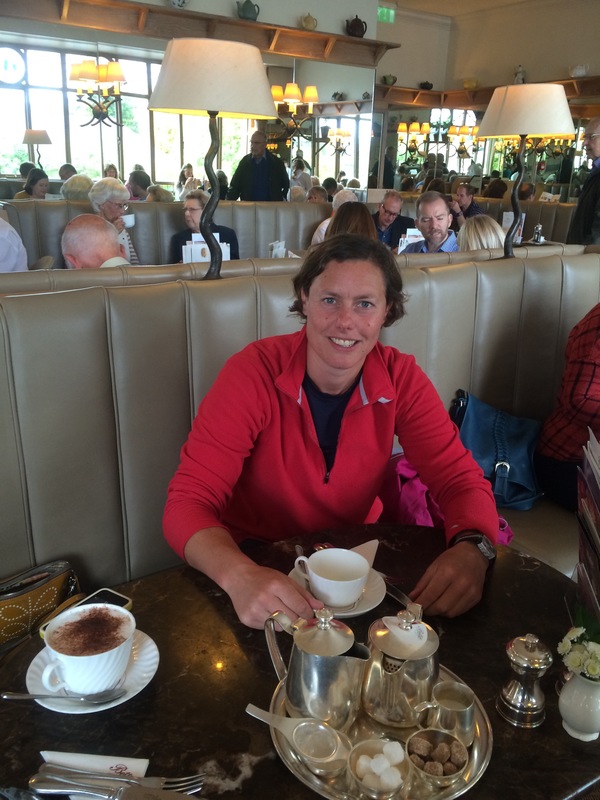 We went for a lovely brunch in Betty’s cafe, quite a well known Yorkshire chain. It was excellent. I was able to do a little bit of planning in the afternoon before we watched England play Wales in the Rugby World Cup. That was disappointing. Fish and chips in front of the TV made a nice change. Jenny and Mark made me very welcome and looked after me while I struggled to get rid of my cold. I was in need of a day off! Today was to be the first time on my trip that I would be joined by friends for a whole day’s walk. 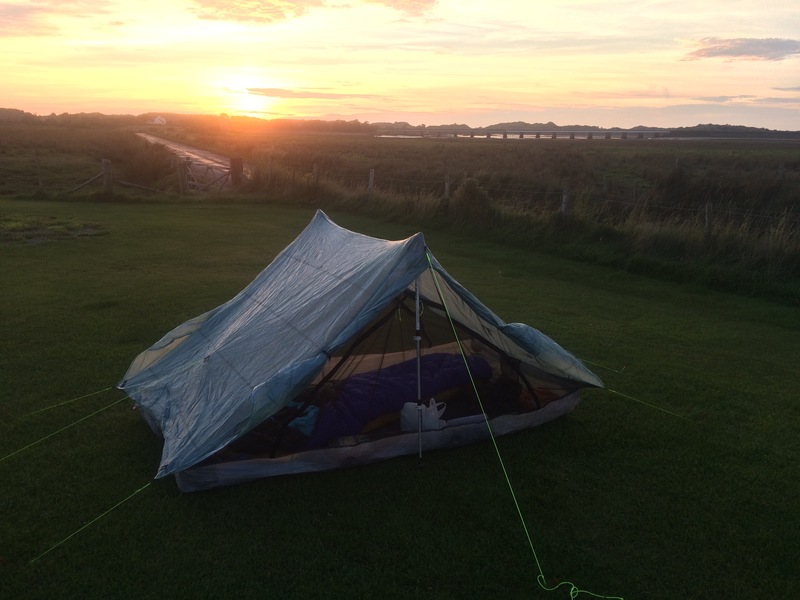 I met Ade and Jackie when we were all camping opposite Holy Island, Northumberland. They are friends of Maggie, and now also of me. They are experienced walkers, climbers, mountaineers and expedition leaders, so I was in good company for the day that was to unfold. It was nice to have good company for the walk and to have someone else navigating. 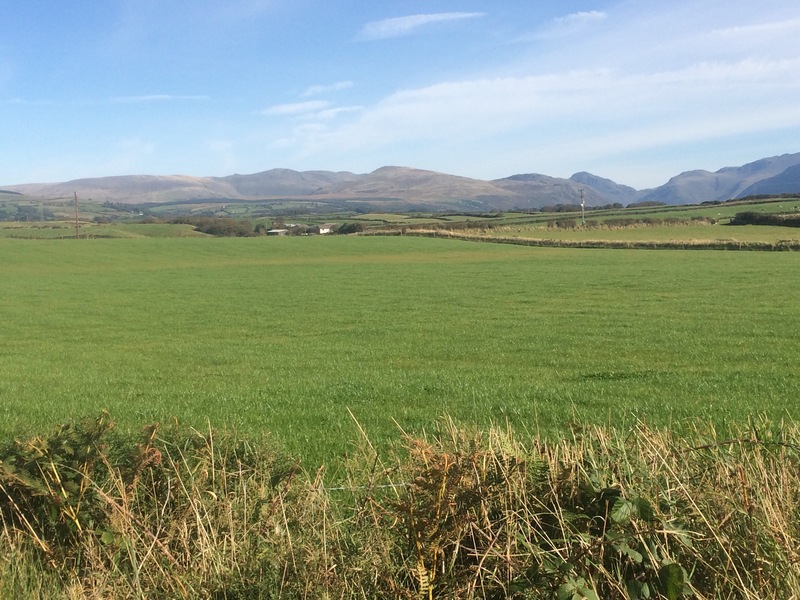 We drove a couple of miles back to Drumburgh, from where we could pick up the Cumbria Coastal Way and we set out to follow this all the way to Skinburness. The main thing I want to point out is how pleased I was that someone as experienced, and qualified, as Ade had the same navigational problems as I’ve suffered and several times we lost the non-existent path. Hallelujah, it’s not just me!!! A stile but no paths! Things started off ok but it wasn’t long before the signposts disappeared, the path disappeared and we were fighting our way through, almost impenetrable, thick reeds and other vegetation. We saw a couple of deer, who seemed very surprised to see us. 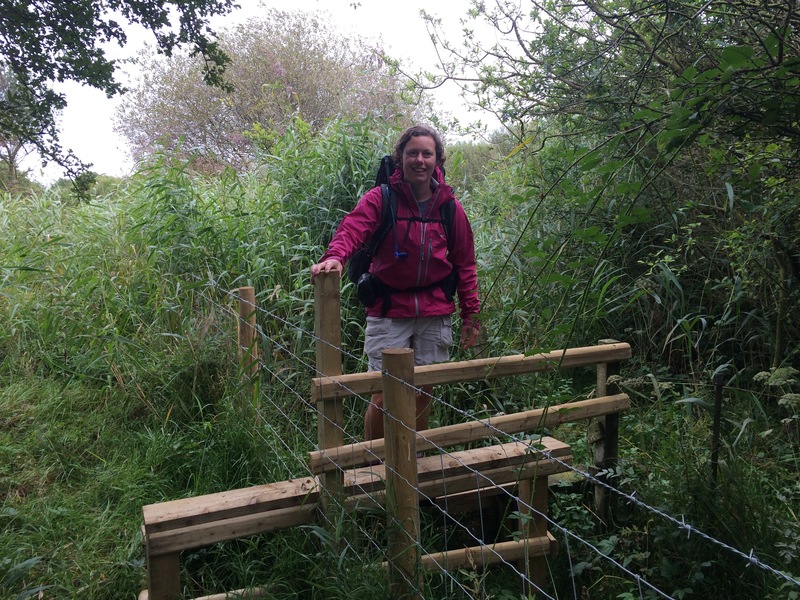 Jackie found a stile – it was buried in the head-high vegetation with no sign of a path either side, but it did have a CCW sign. We worked hard for our 15 miles today; it should have been shorter but crossing the Skinburness Marsh at the end was a wiggly affair. 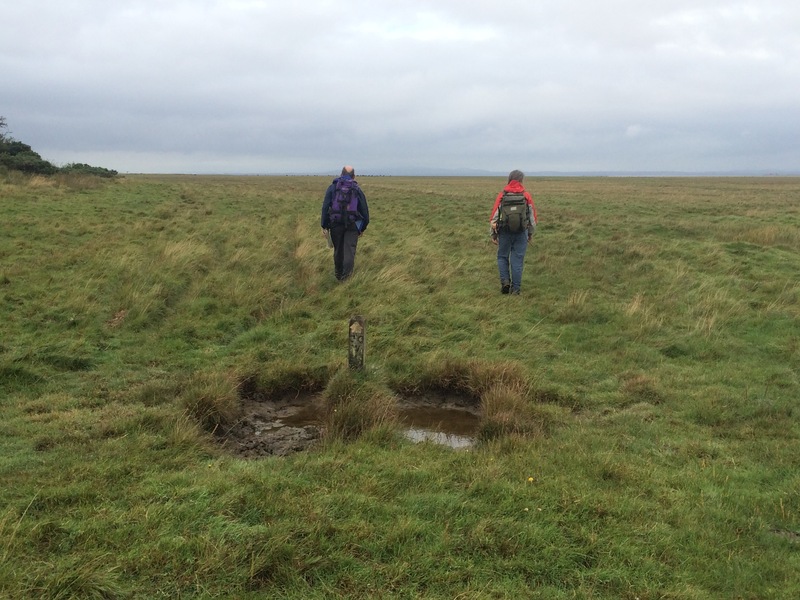 There were dykes crisscrossing the plain and finding places narrow enough to cross them was sometimes difficult. We all got wet feet at some point. 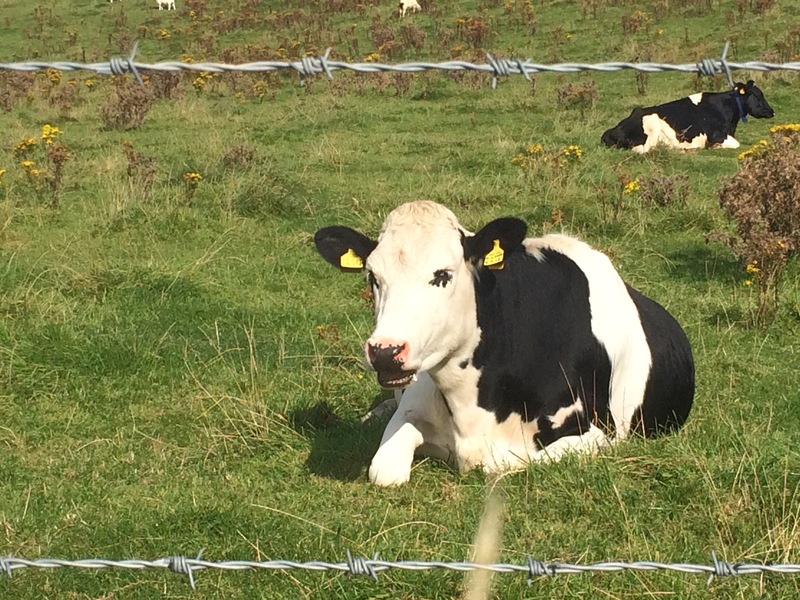 We also had cows to worry about (some are really inquisitive) and fences barring our way that needed to be crossed. 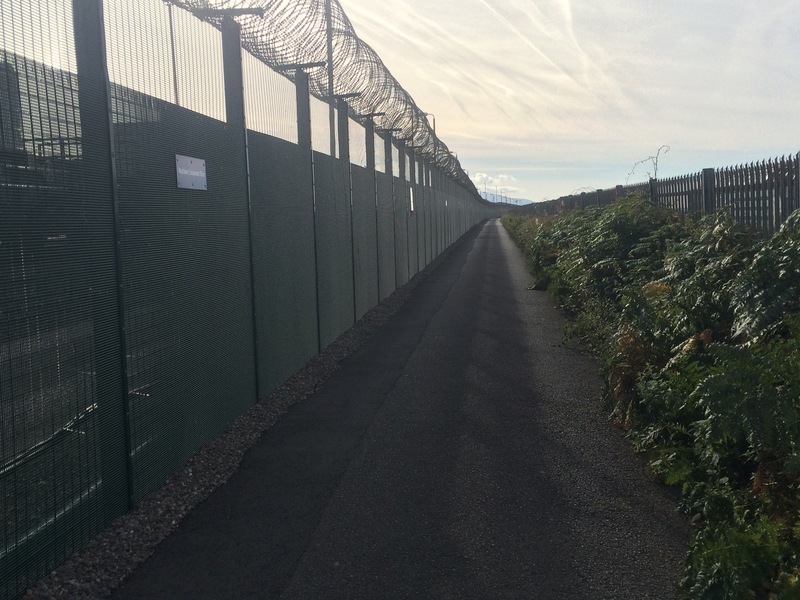 I managed to rip my waterproof jacket in one fence that we had to climb through (fortunately Ade mended it later). 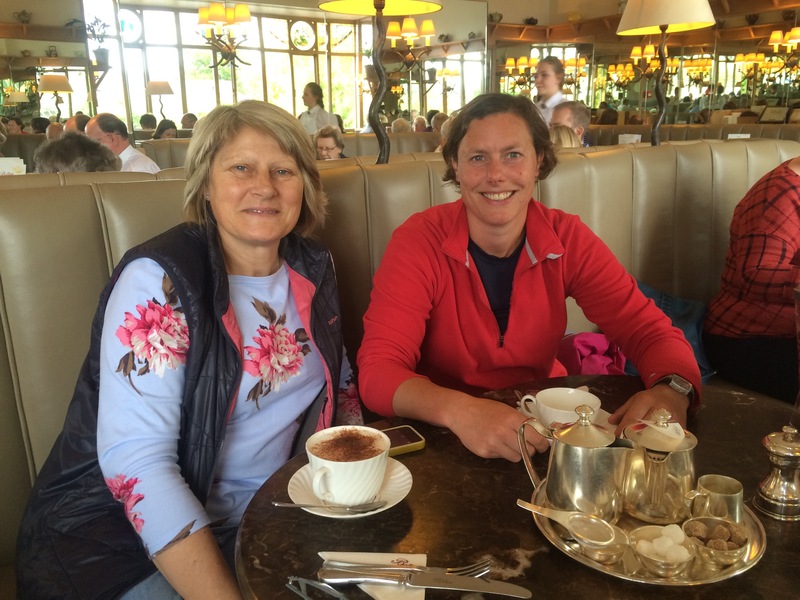 Walking with Ade and Jackie meant regular breaks with treats, sandwiches and hot chocolate. What a luxury. The route did take in New Abbey and we took a look in the magnificent building that was destroyed by fire in 2006 and has been rebuilt. It was worth a look. By the time we reached the (second) car at Skinburness we were tired. It had been a long day fighting the lack of paths. We made it back home just before the rain came. It was nice to have an evening in front of the fire. It was a misty start to the morning but the sun was going to burn through. I walked down the road to the River Sark and the border. 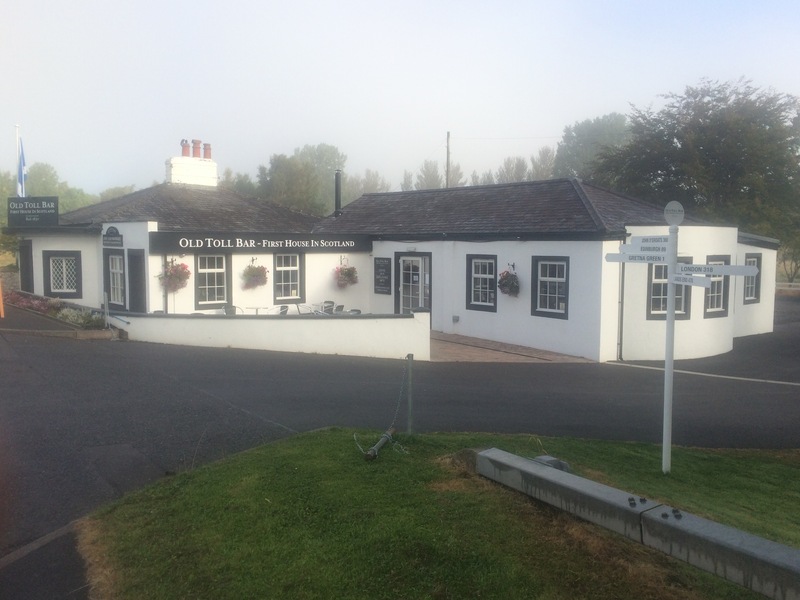 Just before the border is the first (or last) house in Scotland, The Old Toll Bar. Another scene of many weddings. Unlike when I crossed the border into Scotland on the East coast, this time it didn’t rain. I’m hoping that’s a good omen. I made it around Scotland!!! Having walked across the border (where were the pipers and Dougie MacLean to bid me farewell?) 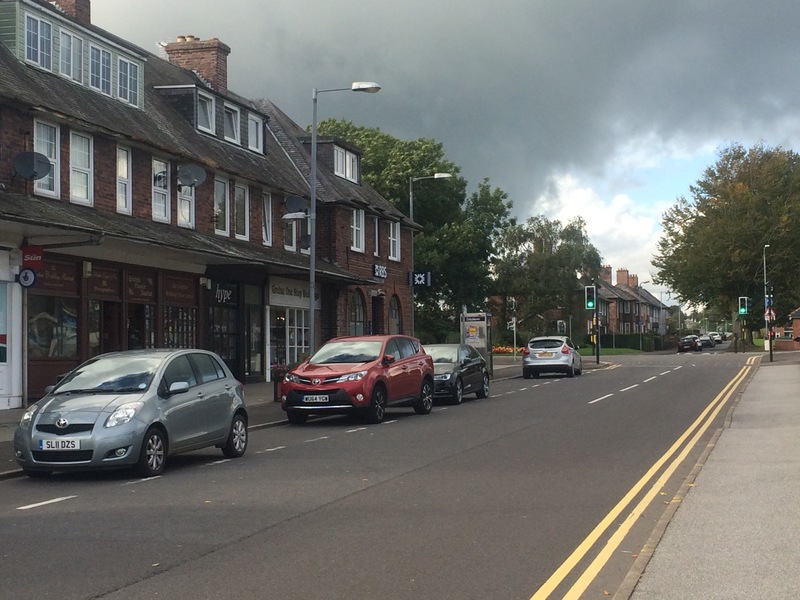 I promptly walked back into Gretna and caught a bus to Carlisle to avoid a road walk. 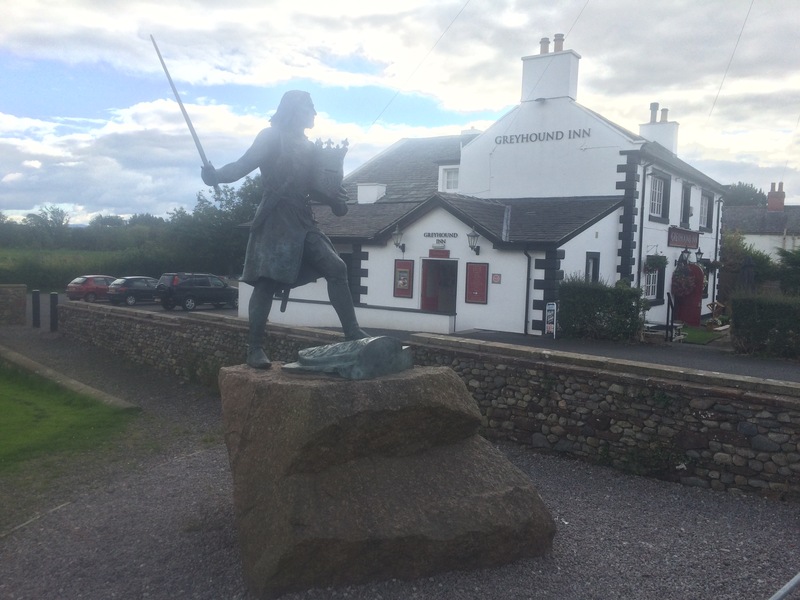 I was in Border Reiver country and all day I was to be reminded of the incessant tribal warfare that blighted this area for about 300 years, mainly between 1296 and 1603. 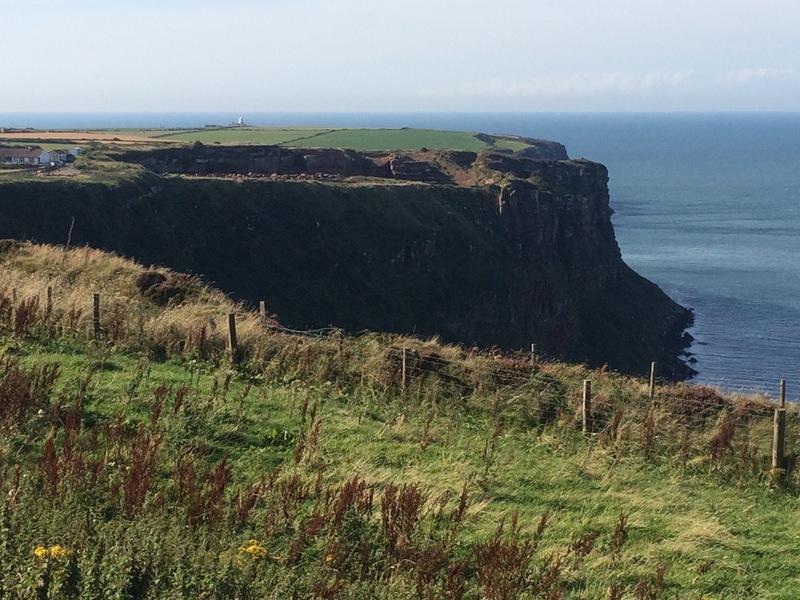 It wasn’t just between the Scots and the English, but was tribal in the 40 square miles of ‘Debatable Lands’. I have learned the origin of the term bereaved (be-revived). I needed some new inner socks as my feet have been a bit sore and I worked out that it was my threadbare socks. I popped into Cotswolds to buy some new ones and then walked down the High Street. 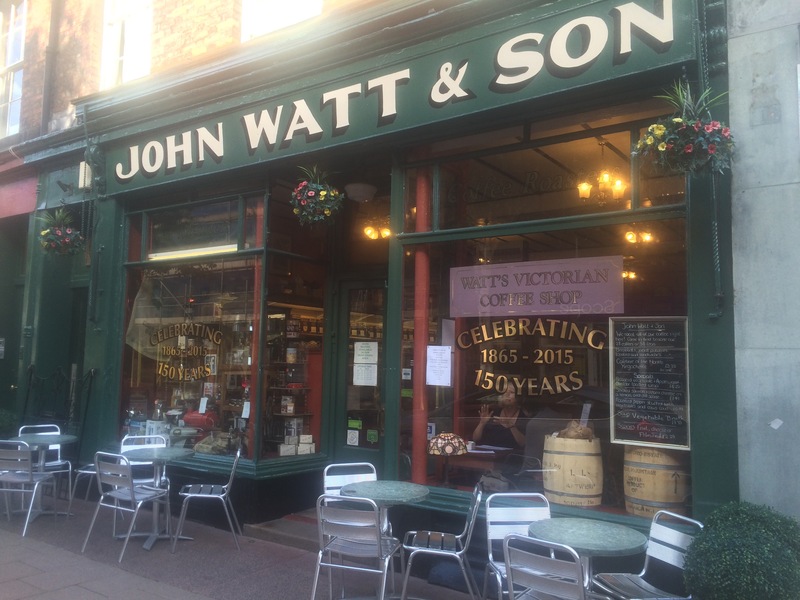 I couldn’t resist stopping at Watt’s Victorian Coffee Shop and was rewarded with an excellent coffee and cake. 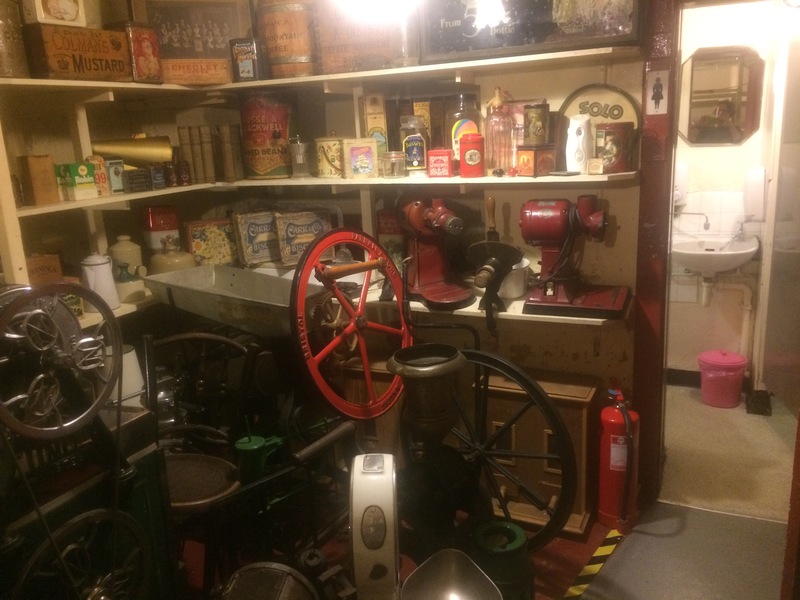 The place is full of Victorian knickknacks and a visit to the toilet involves walking through a basement that could be a museum! It was a shame the man who roasts the coffee wasn’t in as apparently he happily shows customers round his tiny office. Is this a museum or the way to the toilet? 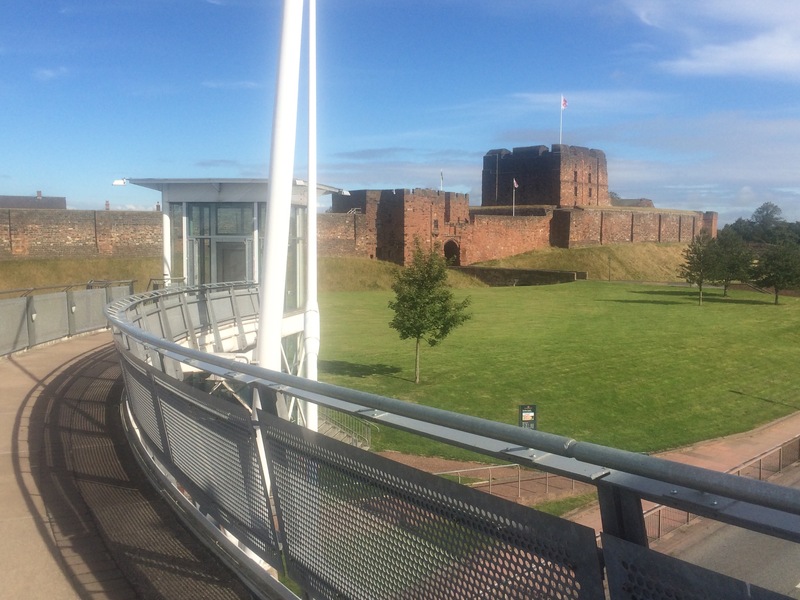 Carlisle has an historic quarter, a castle, a Roman fort and of course it is Hadrian’s Wall country. There is a lot to see in Luguvalium! 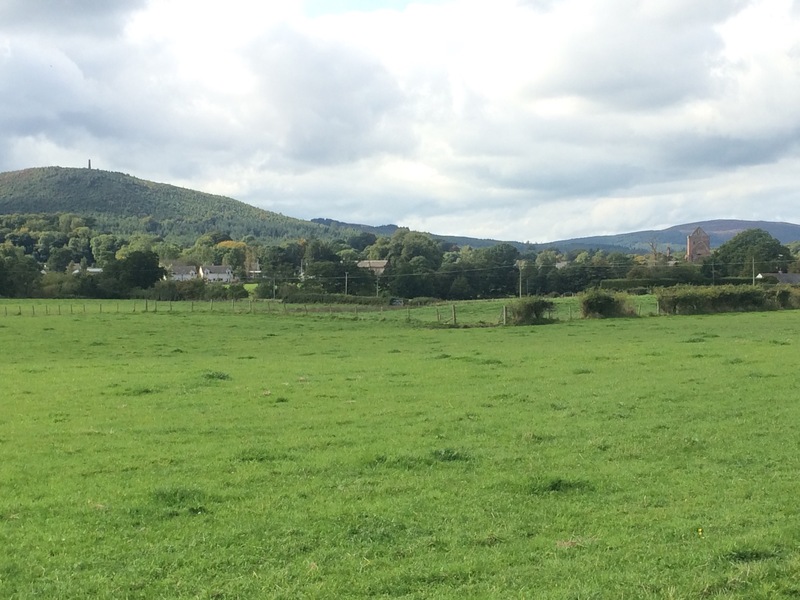 I walked past the Norman castle that was once the temporary prison of Mary Queen of Scots and headed out of the city along the River Eden and out to the the route of Hadrian’s Wall and Vallum. I passed through the villages of Beaumont and Burgh-By-Sands, and stopped in both to look at their respective churches. 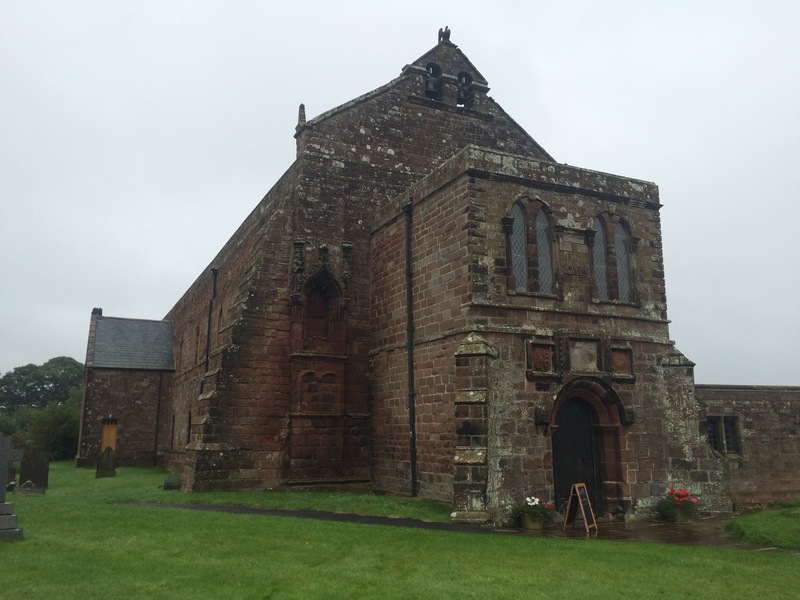 St Mary’s in Beaumont was built on the site of a fort, the only church on Hadrian’s Wall, and has great views over the surrounding countryside, including Carlise and the Solway plain. 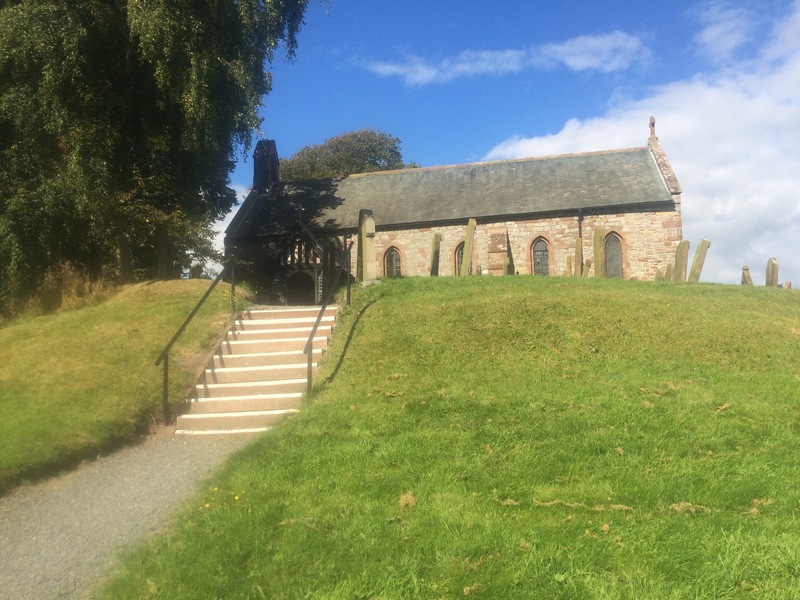 St Michael’s church in Burgh-By-Sands is typical of many of the local churches in having a tower at one end where the locals used to barricade themselves in when their village was attacked by Reivers. 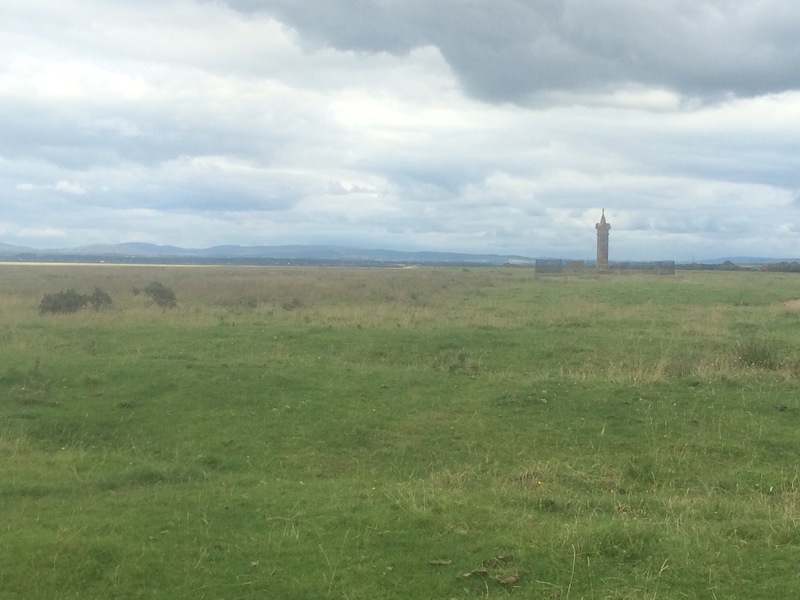 This was also where King Edward I (The Hammer of the Scots) lay in state after he died whilst his Army was crossing the Solway Firth to wage war on the Scots in 1307. 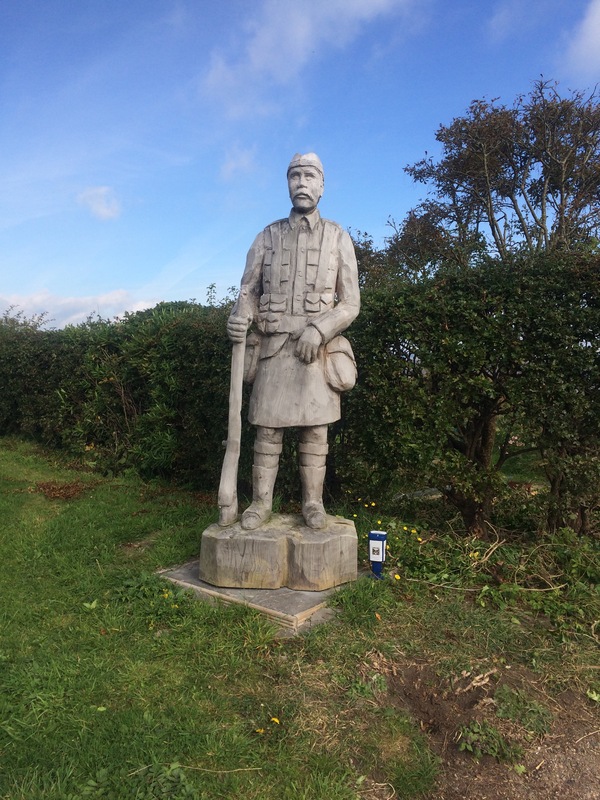 I took a detour out onto the marsh land to look at the monument that was erected on the spot where he died (he was old and ill). 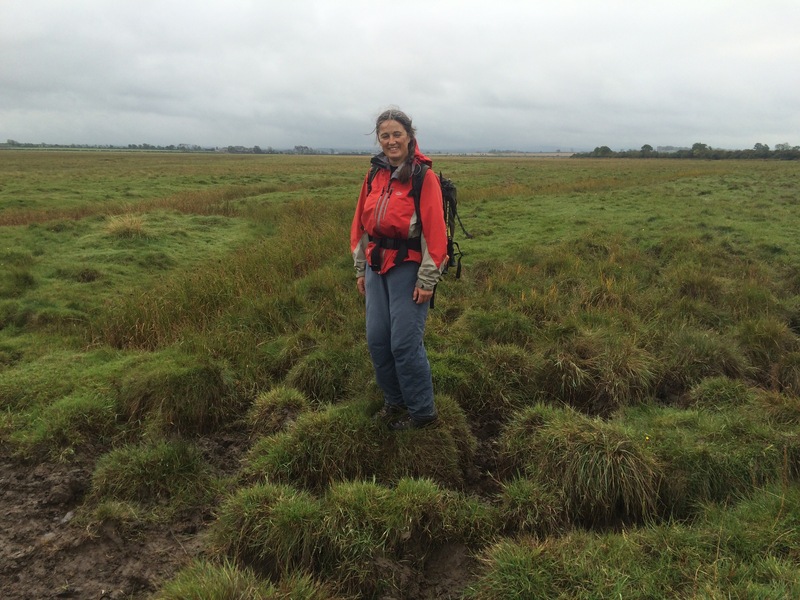 I can’t believe an Army attempted to cross this marsh land; surely it would have got stuck in the same mud I have sunk in! 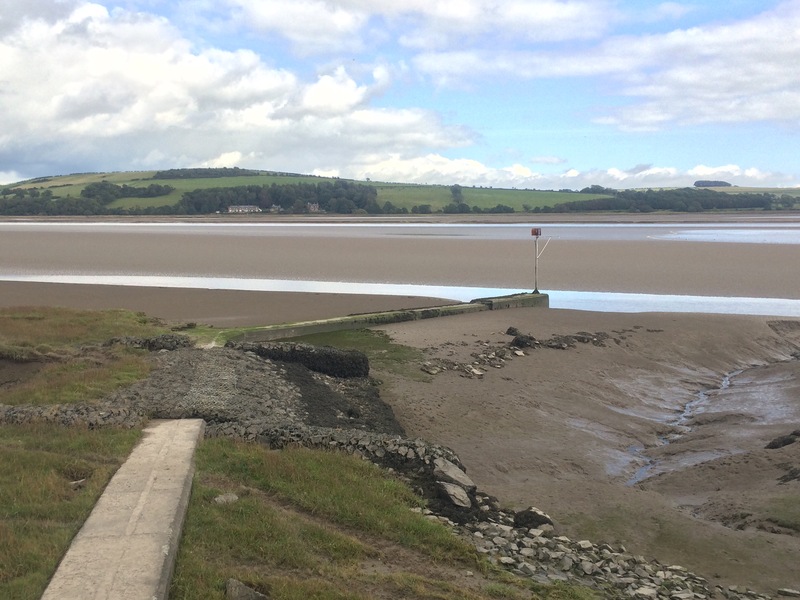 The last section of the walk was along the road that crosses the edge of the tidal plain and evidently gets covered regularly during high tides. The Hadrian’s Wall Path was well signposted all day; it makes such a difference. 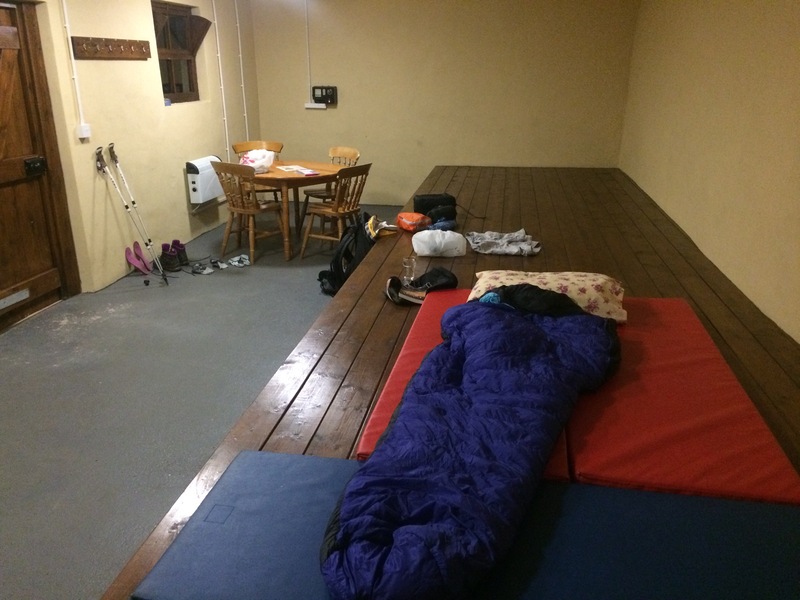 I had booked to stay in a bunkhouse and was the only one so I had plenty of room to spread out. The old lady who owns Kirkland Farm, Daphne, keeps the cleanest Bunkbarn I have ever seen and we had a lovely chat. She has lived in Port Carlisle all her life and she was showing me photos of her at school in 1952. Funnily enough nearly all of her school mates also still lived in the locality; this is one of those places where people never leave. A late start to the walking week after making the most of friends’ hospitality while I got my phone fixed. 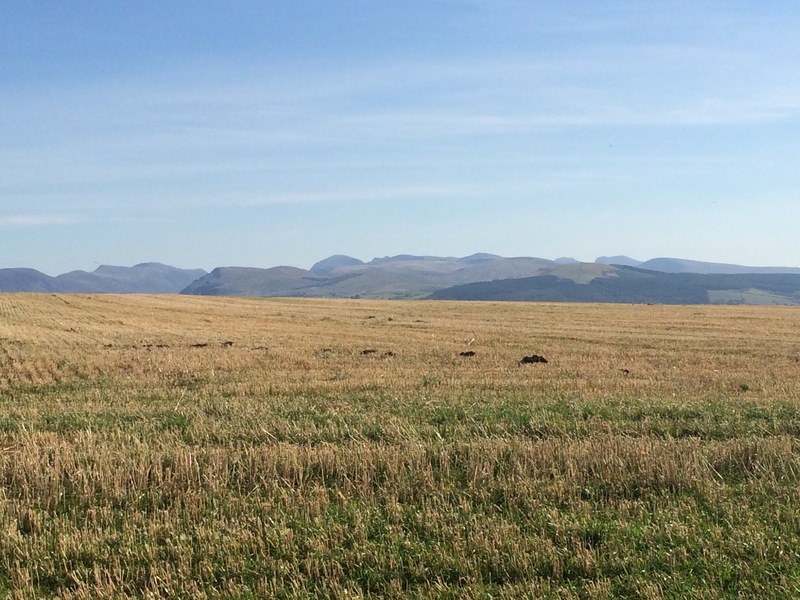 I was sad to leave the Highlands behind but Dumfries and Galloway is a little gem. Such beautiful rolling countryside; it reminds me of England! 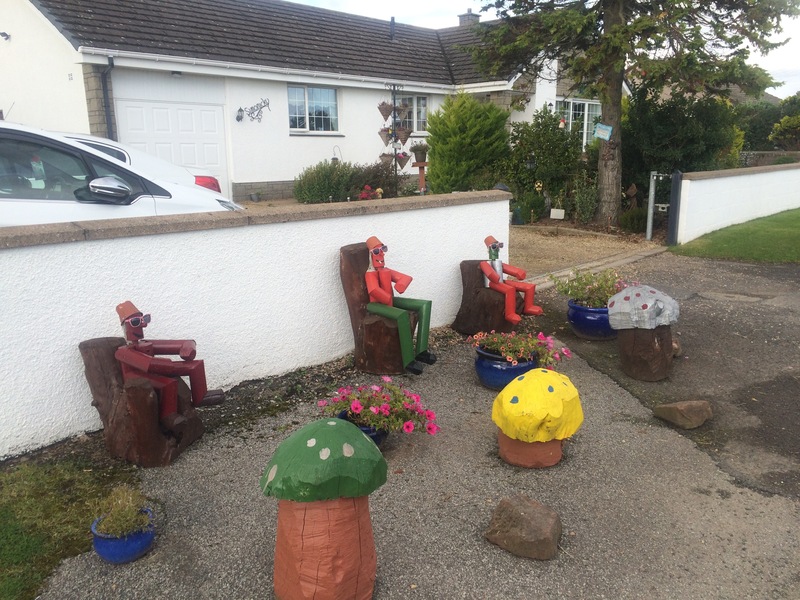 There are some nice houses around here too. Autumn is coming; camping is getting colder and damper. I’m carrying on with it for the moment but I’ll be forced to reassess soon. Nice to have some lovely weather again this week. The sun has come out for my final week in Scotland. 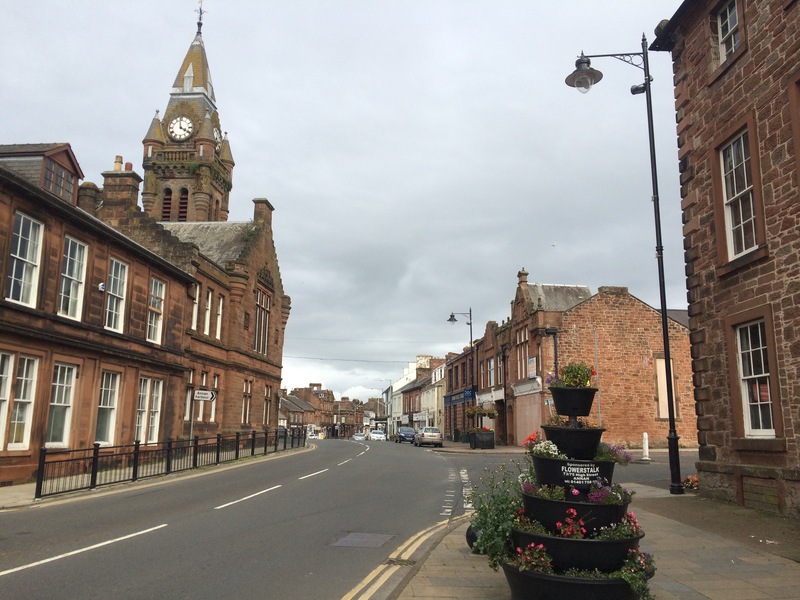 Dumfries and Galloway has historical significance as a place that was central to the bloody wars of independence in the 13th and 14th Centuries. 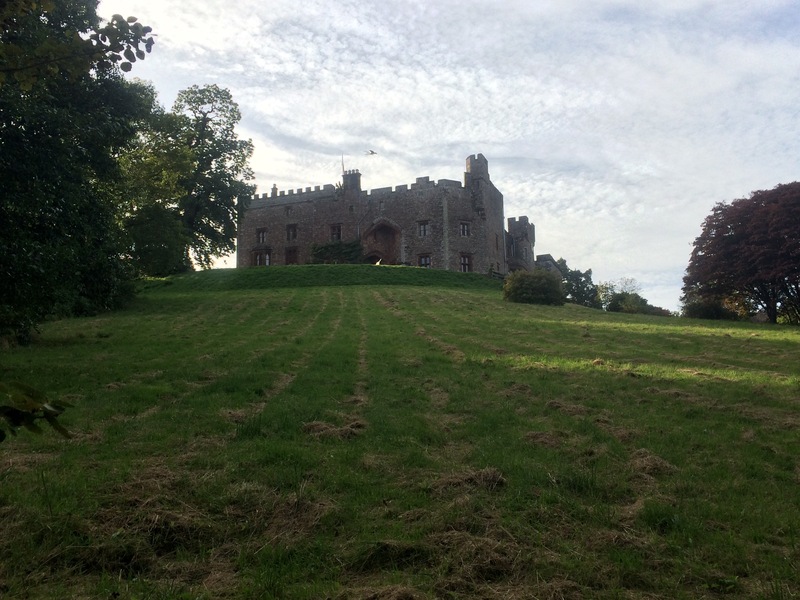 It was the home of the Bruce and Balliol families. I finally feel like I’m back on the move, albeit with a mix of walking and public transport. I still have an aversion to road-walking inland with the sole purpose of covering the miles. Not my idea of fun. 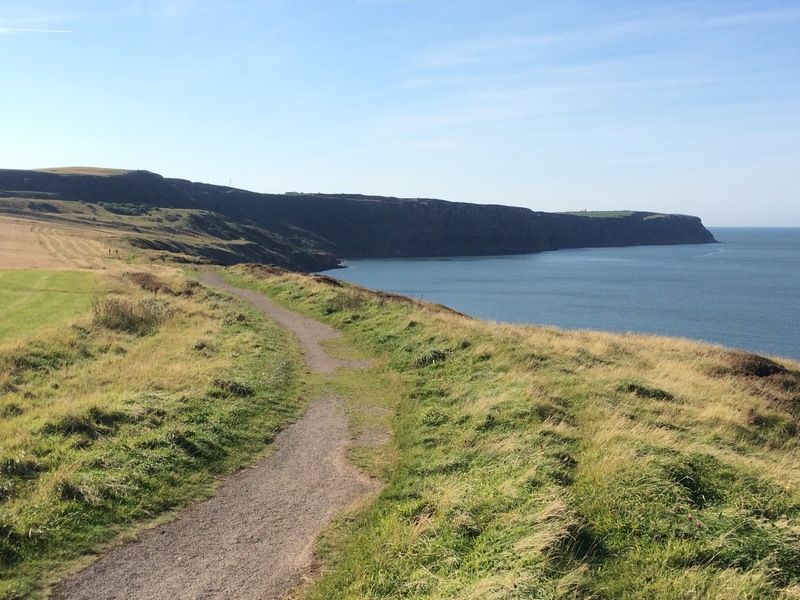 When I can access coastal paths the walking and the views are excellent. I feel like I’ve been in Scotland for ages and I’m rather taken with it. In a way I’ll be sad to leave it behind as I continue my journey into England. It rained all night and carried on until 10am. The forecast was for it to stop raining late morning so I had a lie in. I was very cosy in my tent so I was in no hurry to get up. Fortunately I didn’t have a long walk today so I could take my time. It proved to be a good decision as, although I packed my tent away wet, I didn’t really get wet at all today. Breakfast was self-made ox tongue and tomato sandwiches (left over from yesterday) followed by a coffee and an iced apple turnover from the bakery in town. That’s got to be a breakfast fit for a king?! 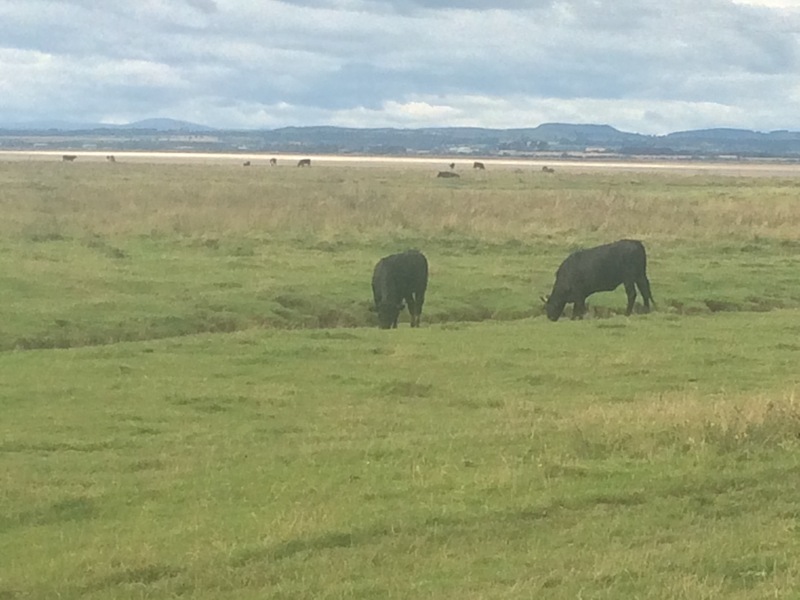 I walked out of Annan and down the side roads towards the Solway Firth at Battlehill. 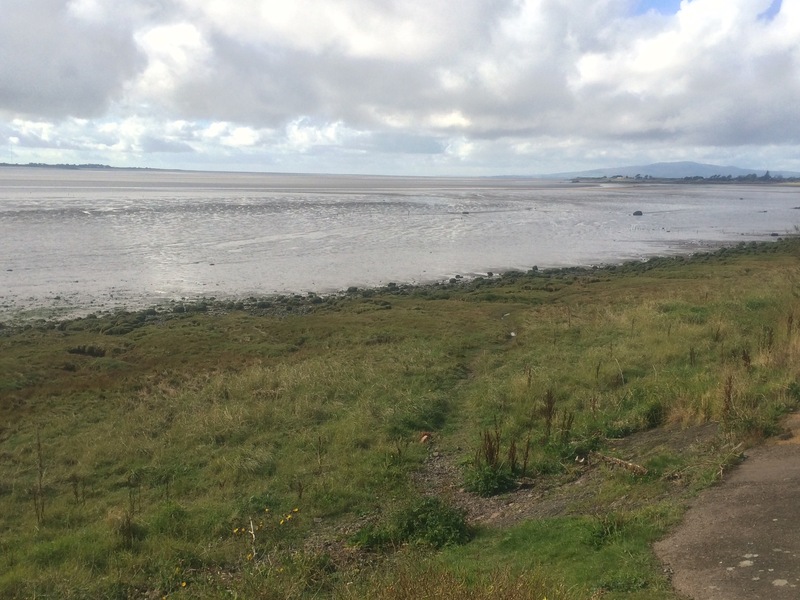 From here I was able to walk just over a mile alongside the estuary before being forced inland again. 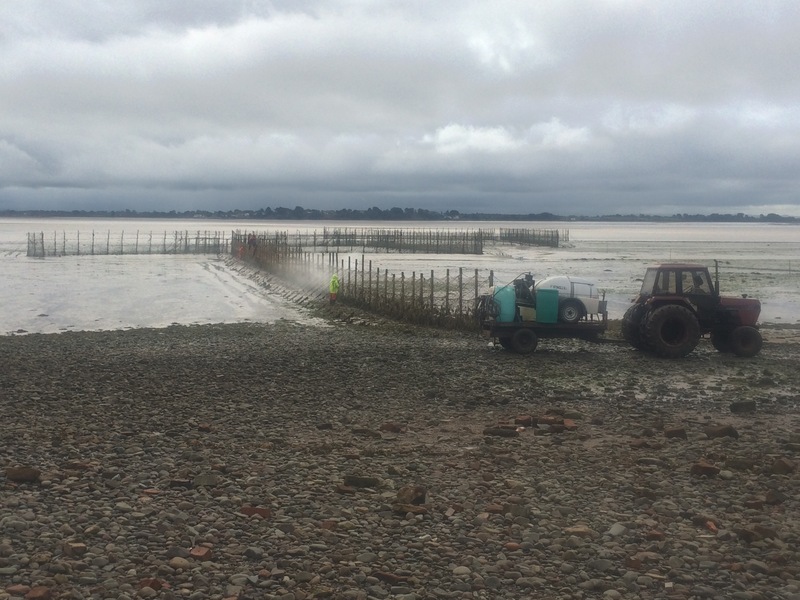 I stopped to watch 3 men dressed in oilskins cleaning and repairing their, rather impressive, stake net while the tide was out. 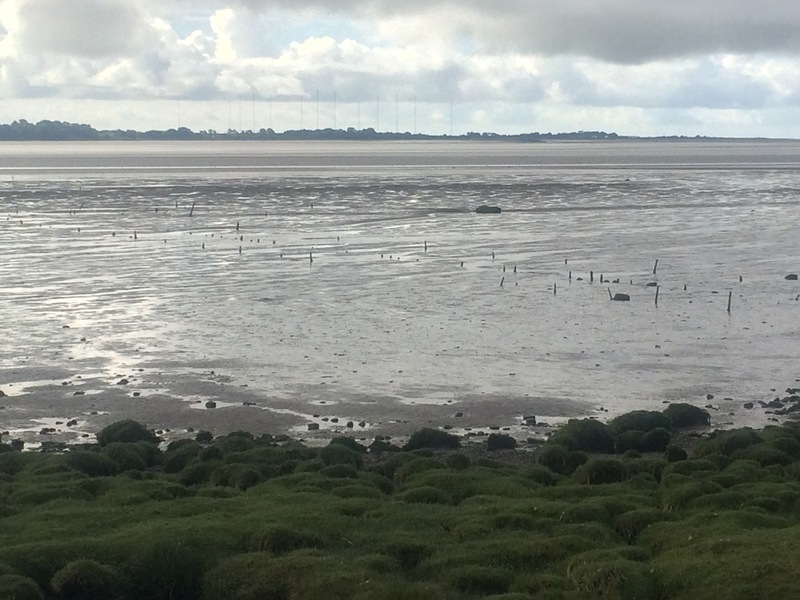 There were good views across to England and I enjoyed listening to all the waders picking at the mud. 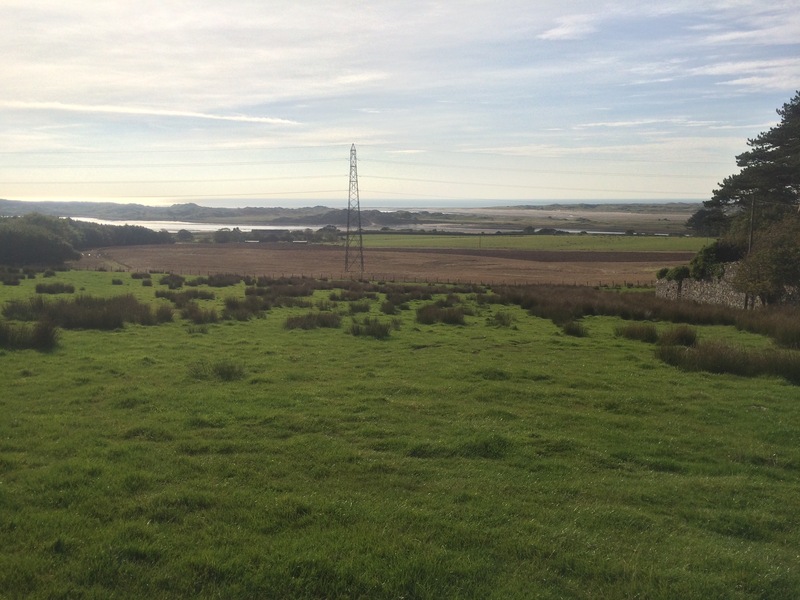 I was advised by a man from a house overlooking the estuary not to attempt the path around the (now decommissioned) Eastriggs Explosive Storage Depot as no one walks that way, which I took to mean the path would be completely overgrown and possibly non-existent. As it turned out I’m glad I headed inland to Eastriggs. 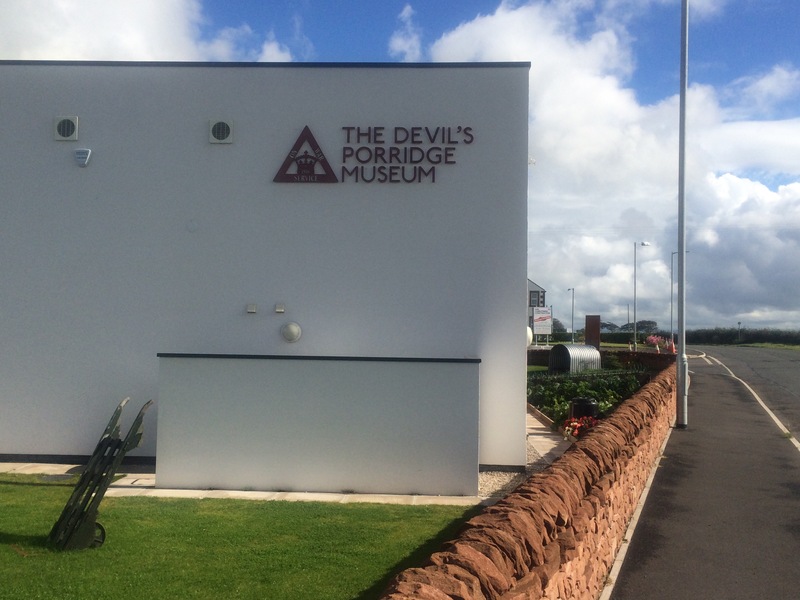 Eastriggs has a brilliant little museum called The Devil’s Porridge Museum. With a name like that I had to check it out. The term was coined by Sir Arthur Conan Doyle who, as a newspaper reporter, decided the mix of nitroglyceride and gun cotton looked like porridge. 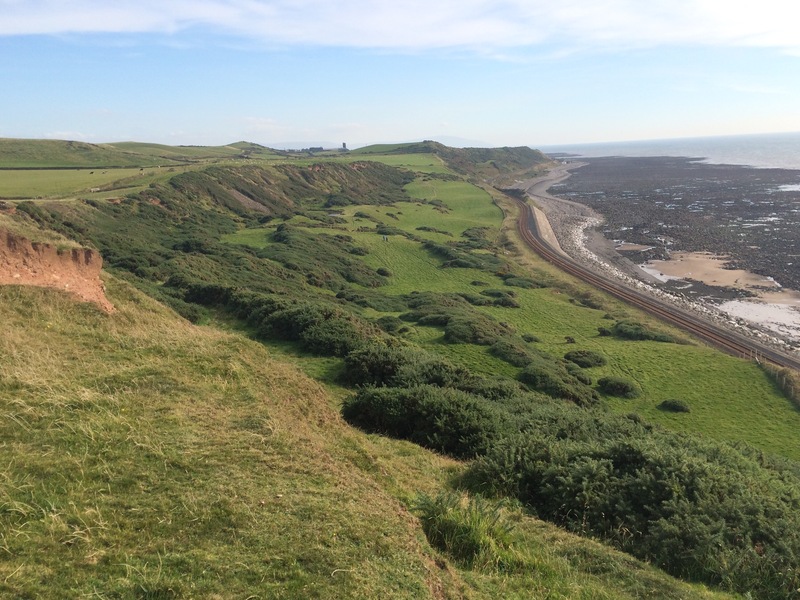 I had no idea that this coastline was once the site of the UK’s largest, and quite secret, WWI munitions factory. A 9-mile long factory built in a desolate landscape out of reach of enemy aircraft, with excellent rail links and a good water supply (the River Esk). When we ran out of ammunition in 1915 Lloyd George had this factory built and at its height it manufactured 1,100 tonnes of cordite a week. All by 30,000 workers, most of whom were women, and their feat played a big part in securing better jobs and votes for women. The museum tells this story and I spent a couple of hours looking around. 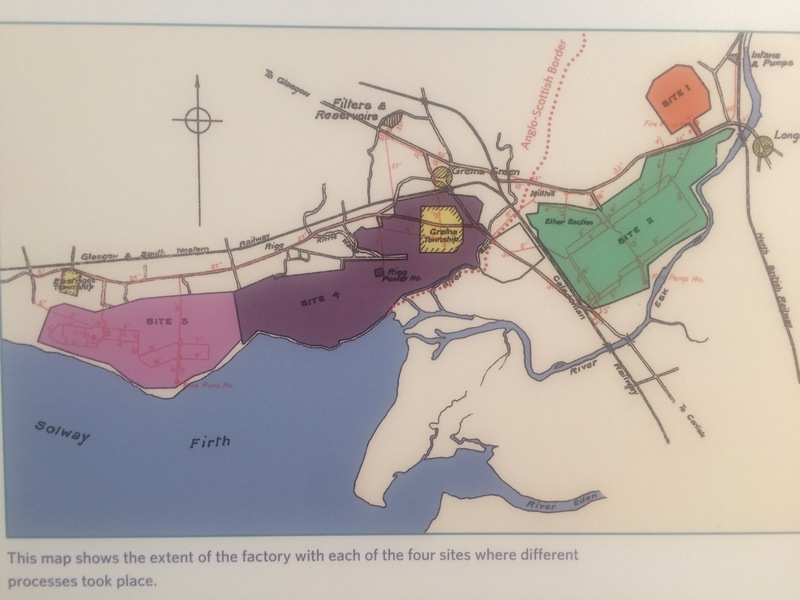 The factory was built by Irish navvies and the alcohol problems were so bad that the government bought all the pubs in the area under a State Management Scheme that introduced watered-down beer, licensing hours, a drinking age and other rules. The government owned these pubs until 1973! 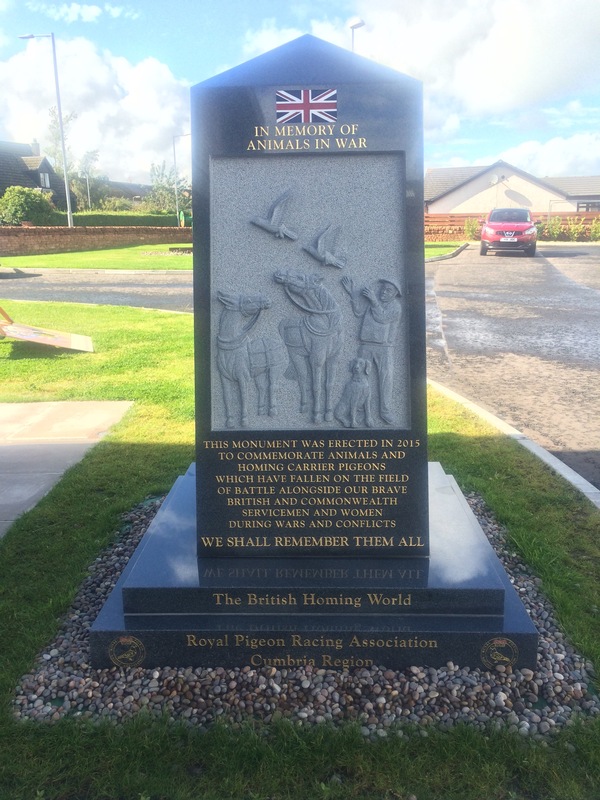 The factory was opened in 1916 and the towns of Eastriggs and Gretna were new towns, designed by the best architect and built to provide all the facilities necessary to ensure contented workers. The factory was only open for a couple of years but it made a huge contribution. What a fantastic history. The other story told in the museum is of the UK’s worst rail disaster that also happened just outside Gretna in 1915. 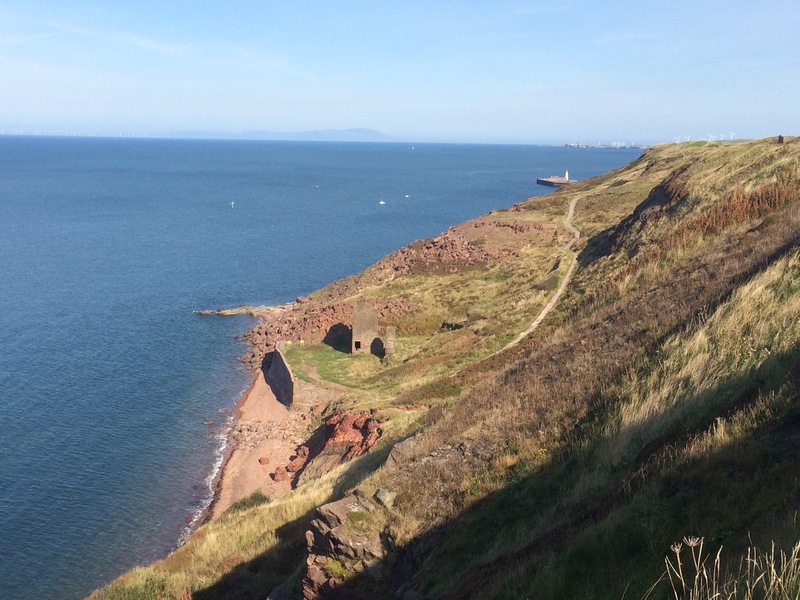 Five trains were involved and 227 people died, almost all of them TA soldiers from the Leith Battalion of the Royal Scots, on their way to Gallipoli. Only 6 of those men made it to Gallipoli. It was such an horrific crash that some men amputated their own limbs to escape the raging fire. Those that couldn’t escape were possibly shot after the officers drew lots to decide who should have the task of putting them out of their misery. How hideous. 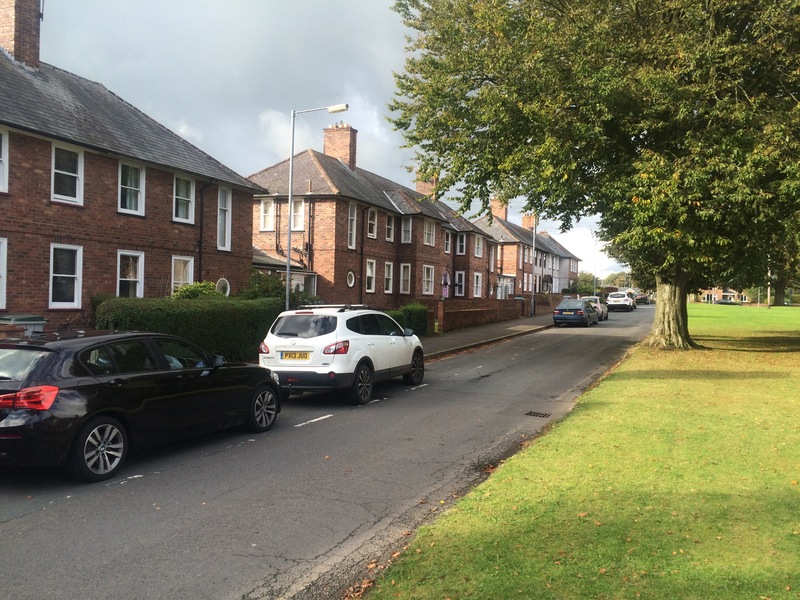 I walked along the roads into Gretna and admired its layout and the few surviving buildings from 1916. There aren’t many left but the wide streets and new town layout were still evident. 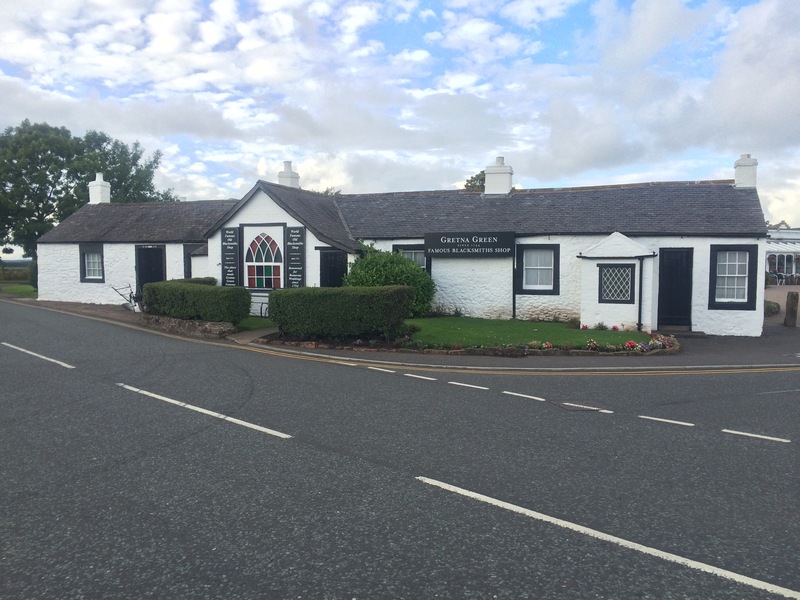 Just across the motorway is Gretna Green, where I was staying. 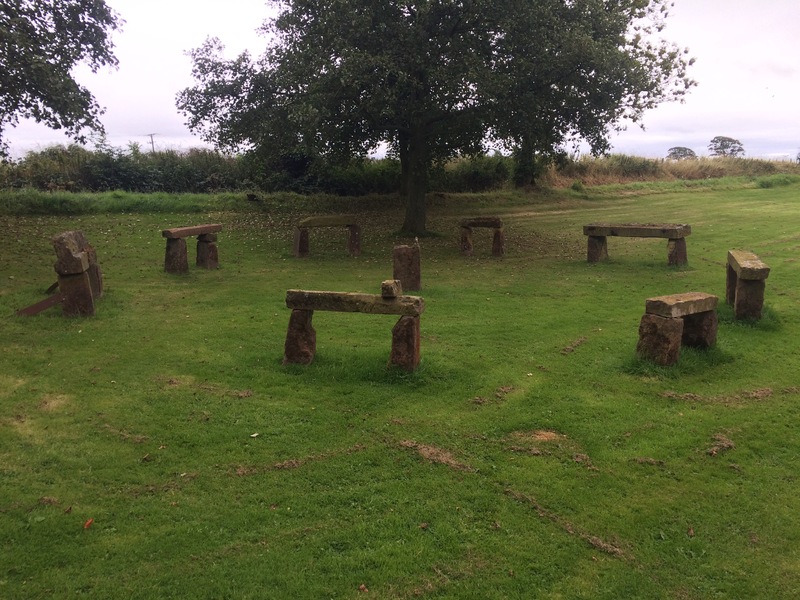 I walked past The Old Smithy, the famous site of many runaway weddings by the ‘Anvil Priests’. It’s clearly a big commercial enterprise now. 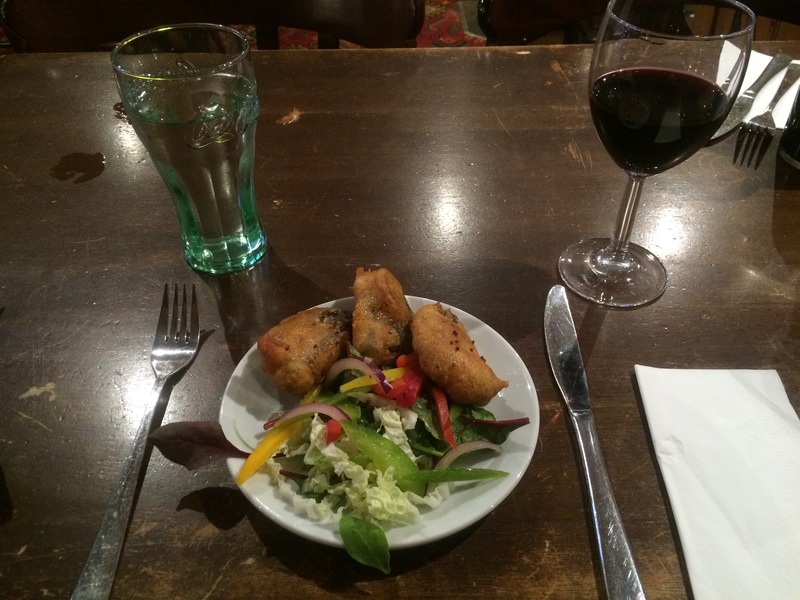 For my last meal in Scotland I had to choose as a starter the deep fried haggis with whisky sauce. No contest. The hotel had a free jukebox but, unfortunately I couldn’t find Dougie MacLean and ‘Caledonia’. 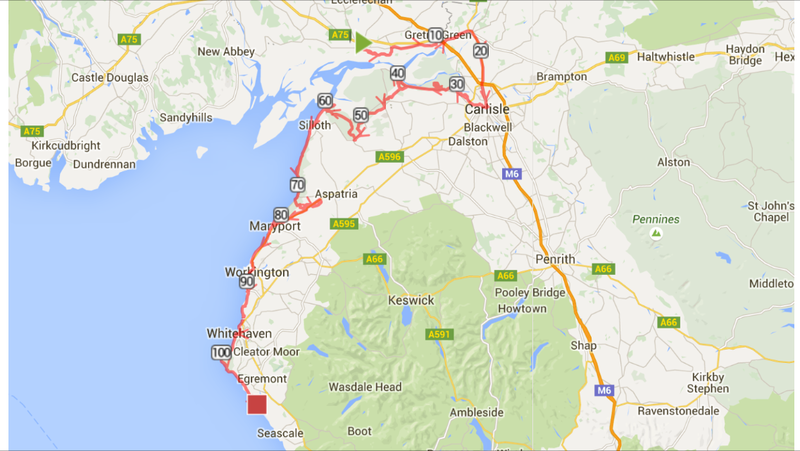 According to the map today’s route to Annan was all on roads a reasonable distance from the coast. After yesterday’s road walk I couldn’t face 20 miles of it today so made a late decision to get the train straight to Annan. This would give me an unexpected day off. Annoyingly, nearly everything is shut on a Sunday, or if it is open, it’s not until after 2pm. 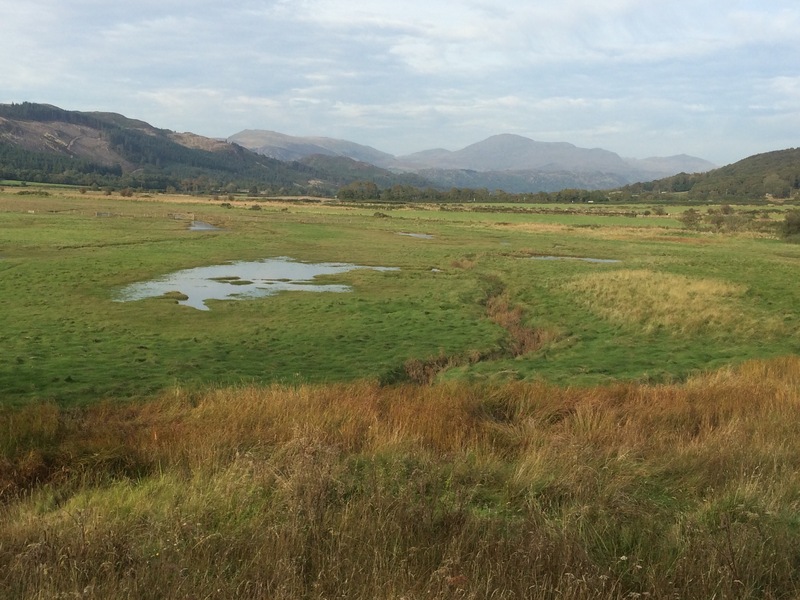 I was hoping to visit one of the museums in Dumfries or Annan, and I would really have liked to have seen Caerlaverock Castle, on the Eastern bank at the entrance to the Urr estuary. Unfortunately none of this could be worked out on a Sunday (Caerlaverock Castle was open but the only bus didn’t leave Dumfries until 2pm and then I’d be stranded). There was nothing for it but to have a lazy morning and then sit in Starbucks (just about the only place open in Dumfries) catching up on my blog until the first train in the afternoon. Needless to say, even the trains weren’t running on a Sunday and there was a replacement bus service to Annan instead. 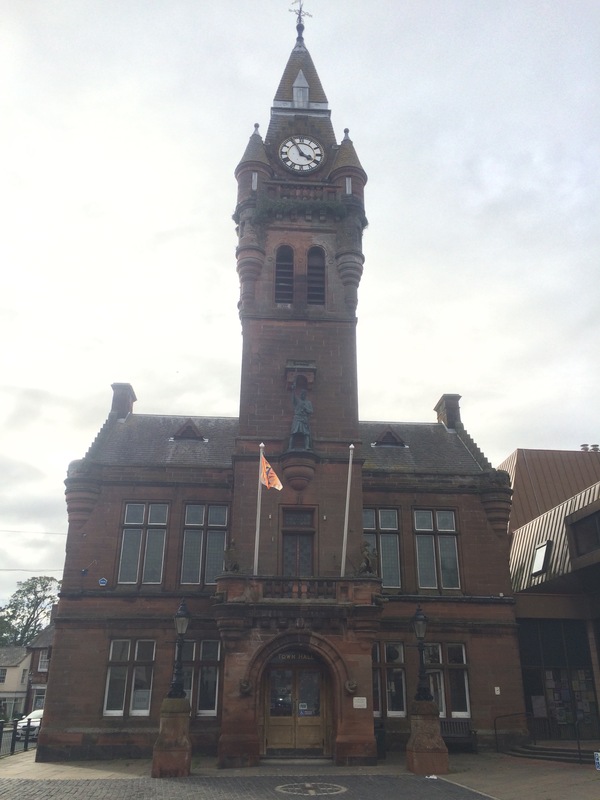 Annan is another town on the Robert the Bruce trail and the town hall boasts a statue of him dressed in armour. It’s a shame I wasn’t here in July when the Riding of the Marches takes place. This sounds like a carnival with a twist as townsfolk re-enact checking the town’s boundaries to ensure everything is as it should be and this year 140 people turned out on horseback. The campsite is next to Annan Athletic FC stadium. 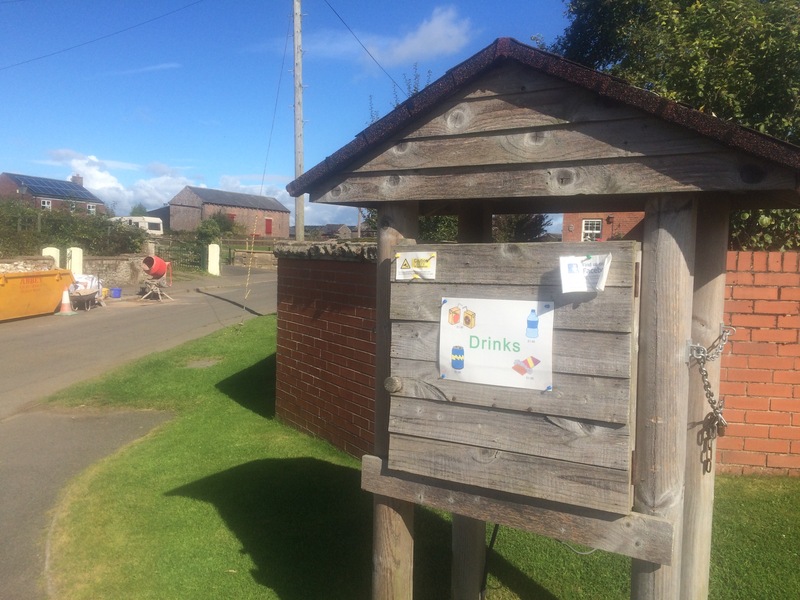 This seems to be a feature of the Galloway towns – they all have a council-owned campsite and often next to the football ground (Dalbeattie was the same, in Kirkudbright the campsite was next to playing fields). I like it that Galloway tries to provide for its guests. I managed to find a pub/betting shop that was showing the rugby on one of its 12 screens. I felt slightly self conscious as it was full of mostly men watching football and a few young ladies in the corner wearing hot pants, skimpy tops, furry boots and a lot of make-up. I think I stood out a bit. Still, no one bothered me and I sat happily in the corner with a pint and a free scotch pie as a bonus. The rain came at about 7.30 and I was all set for an early night, until I met Marie-Anne in the toilet block. She is also camping on her own and is on a 6-month sabbatical. She’s on her way to Mull and has been to Skomer helping the wardens with the Manx Shearwaters. Next month she’s off to walk the Camino De Santiago trail. We swapped tales and had a good old natter, and before I knew it, it was 10pm. 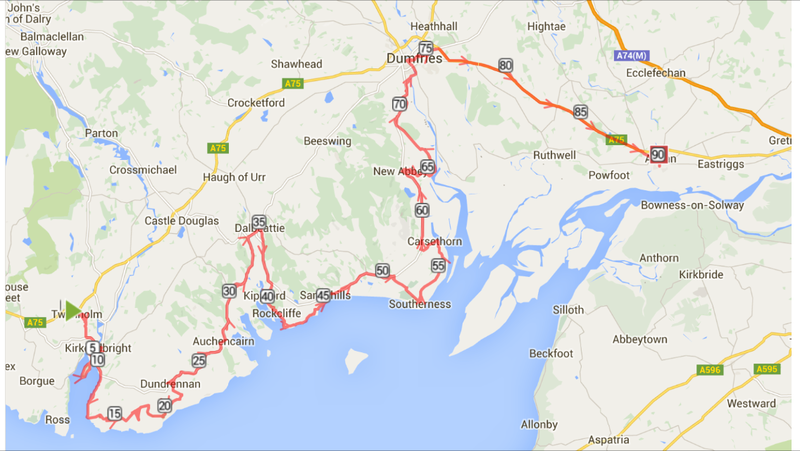 Today’s walk was split into 2 sections, linked by a bus that left Kirkbean at 12.16 pm. I therefore had enough time to go to the cafe for breakfast before tackling the first 6 miles. 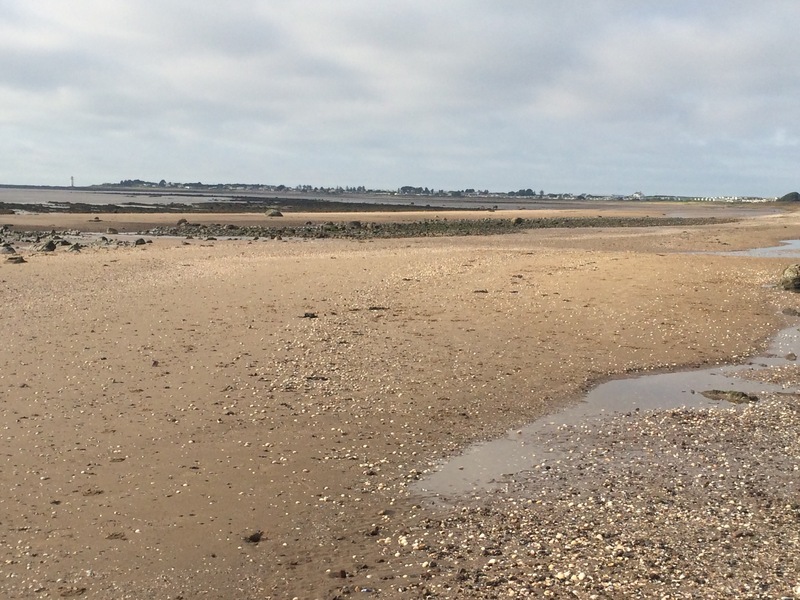 I set off along the sandy beach of Gillfoot Bay – the tide was out so the sea was a long way out. 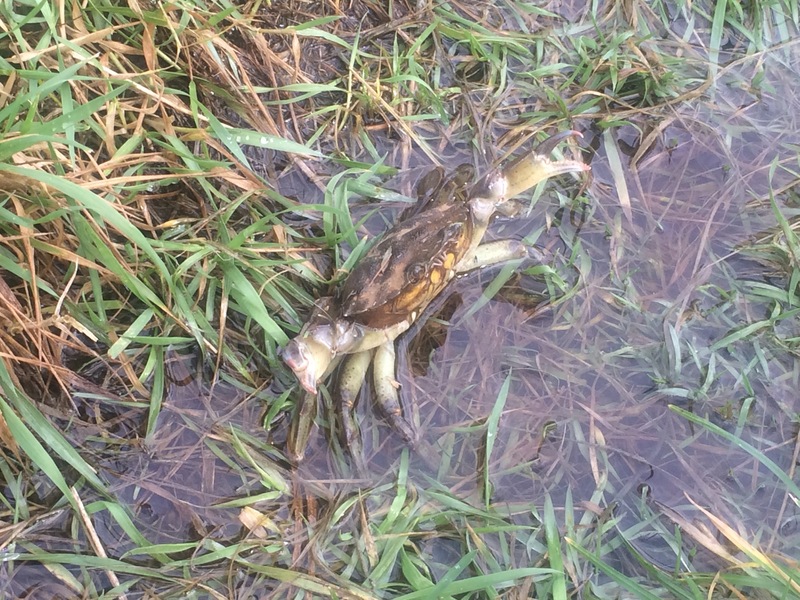 As I rounded the edge of the beach at Powillimount things got a little more interesting. The signpost indicated a path but in fact it appeared that one had to walk across the beach/rocks. Beach is a slight misnomer as the tide comes right in here (although not covering the rocks) and so the sand is actually mud in places. I found this out when my right foot sank to the very top of my boot. Luckily I moved quickly to pull it out as visions of cockleshell pickers in Morecambe passed through my mind! 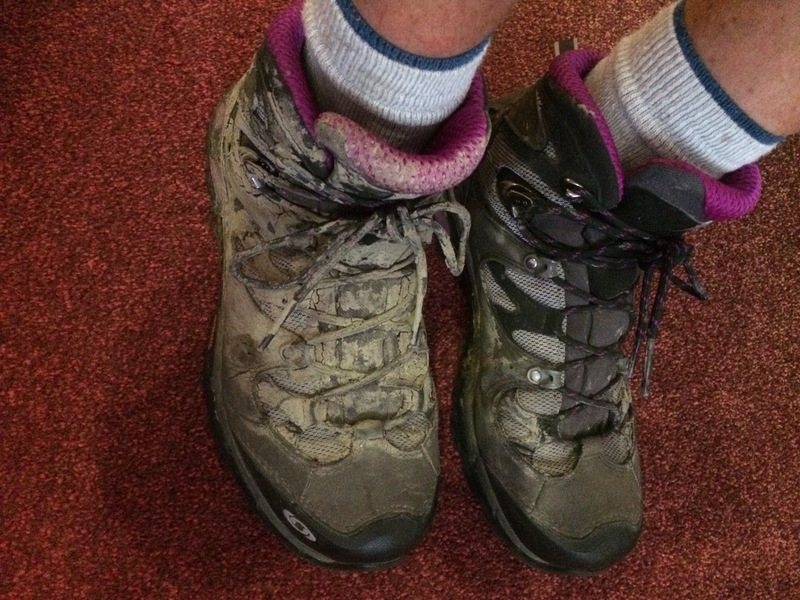 It wasn’t that bad but I did have a very muddy, and heavy, boot that would require cleaning later. I was a bit more careful where I clambered after that. 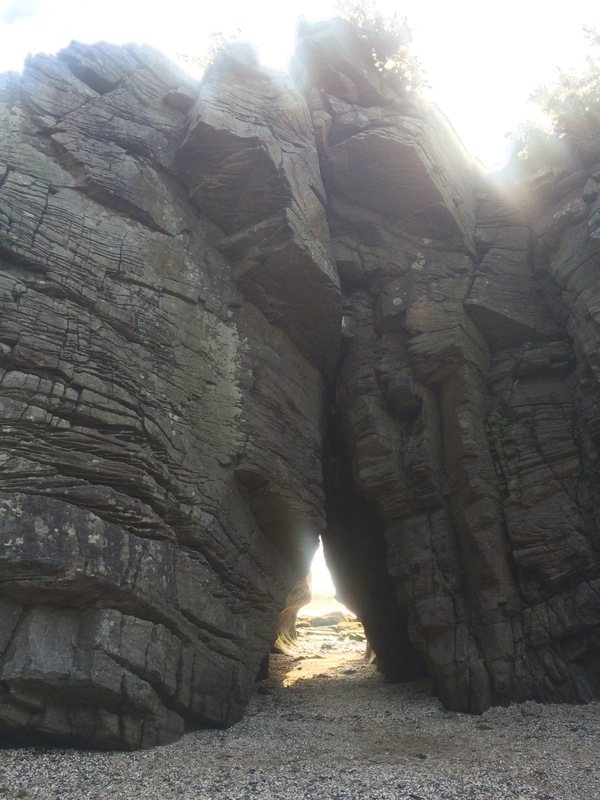 I passed by the Thirl Stane (a sandstone arch) and the Devil’s Stone (a big stone said to have been chewed off the visible a Criffel mountain and spat onto the beach by the devil). It was warm and sunny walking along the shoreline. 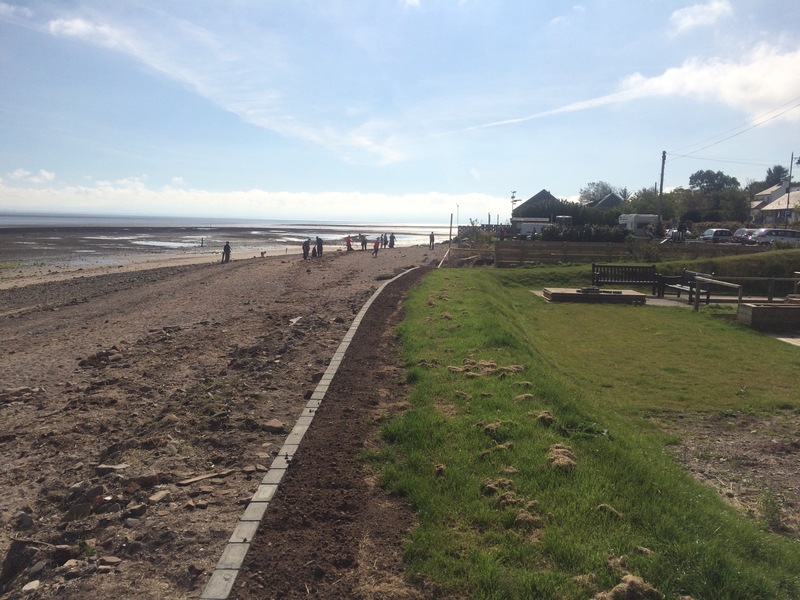 There was an organised beach clean going on at Carsethorn, where I left the shoreline and walked inland to Kirkbean to catch the bus along the main road to New Abbey. Presumably this town was named soon after 1273, when Lady Devorgilla of Galloway commissioned the Abbey. 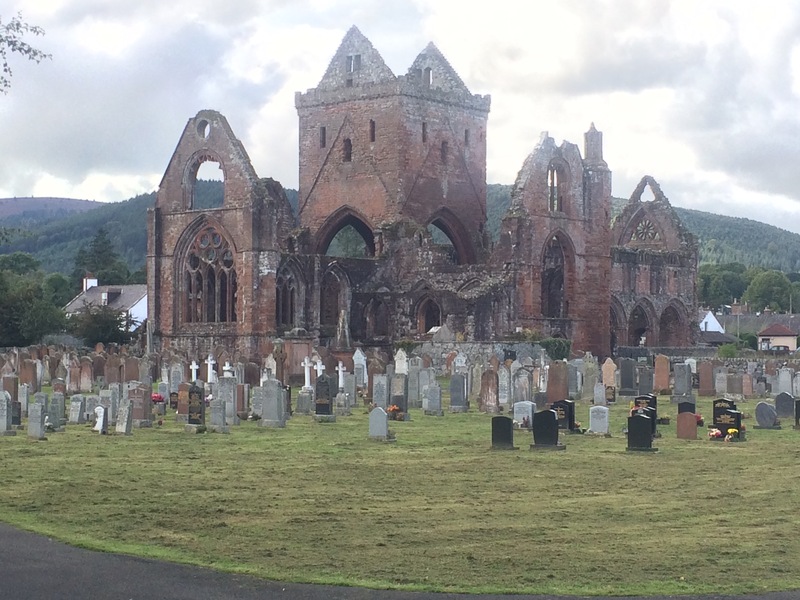 It became known as Sweetheart Abbey as the Lady was so devoted to her late husband (John Balliol who founded Balliol College at Oxford University) that she had his heart embalmed and kept it in a special casket that she was later buried clasping to her bosom. What a great story. 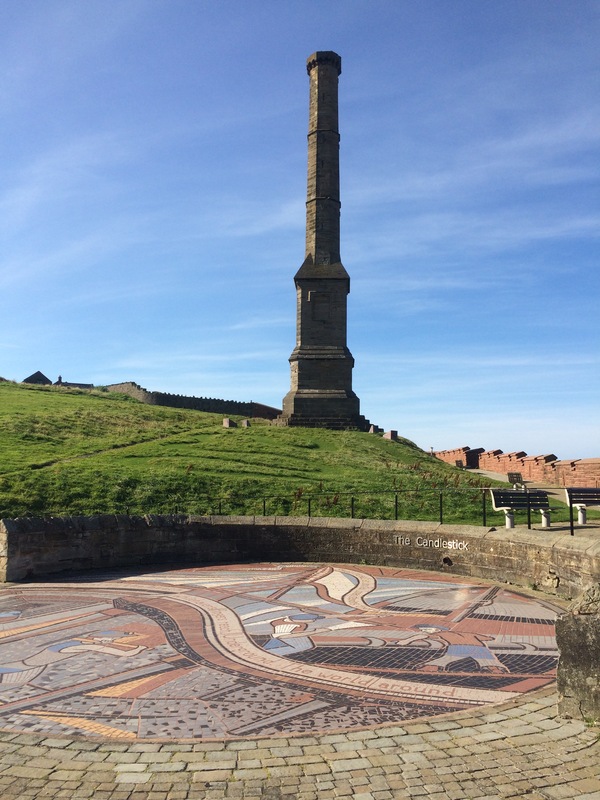 Above the town is a large monument commemorating Wellington’s victory at the Battle of Waterloo. New Abbey is a pretty little town. 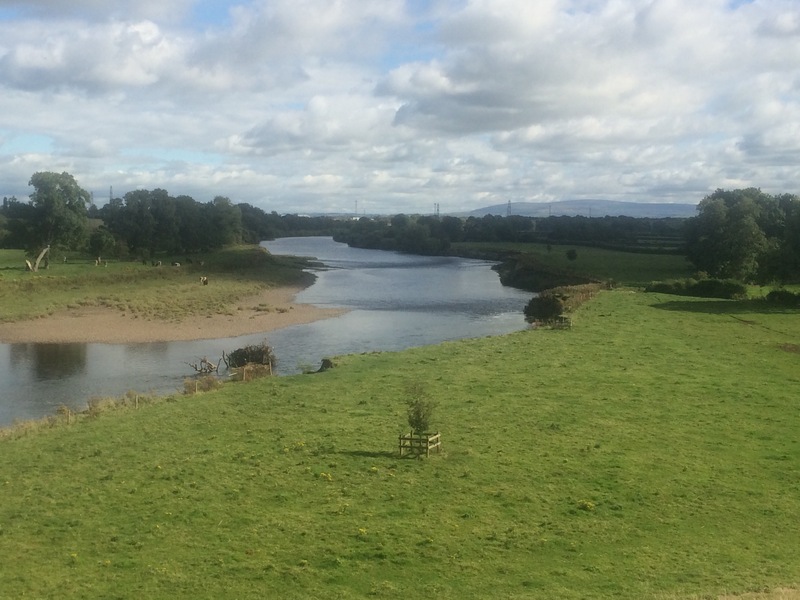 From here I followed a path across the fields of sheep and cows, following the course of the New Abbey Pow (essentially a creek) to the bank of the River Nith. Airds Point provides a neck in the river where it suddenly widens into the estuary. I know tides move fast over sands but I had never walked beside an incoming tide with the water keeping pace with me, until now. Unbelievable. 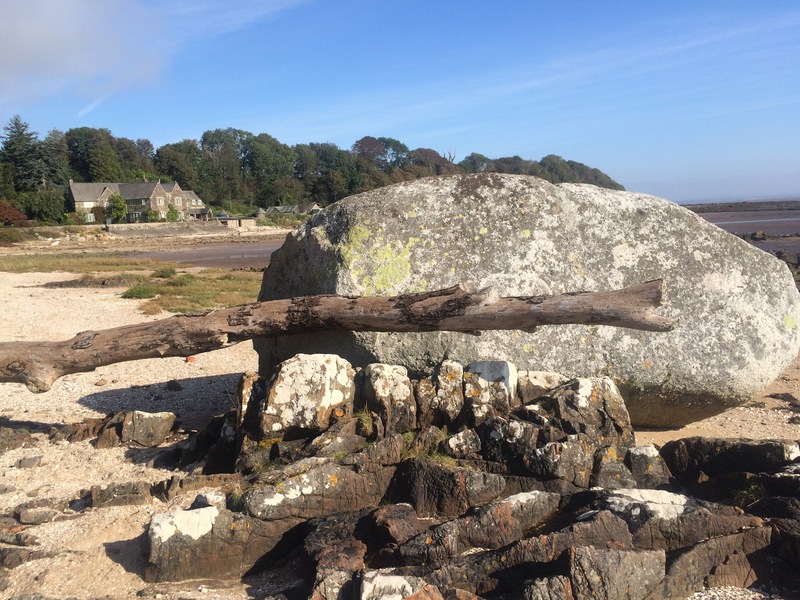 Airds Point – the tide on the right kept pace with me walking! It was a nice walk through some woods by the river before I came out onto the main road. 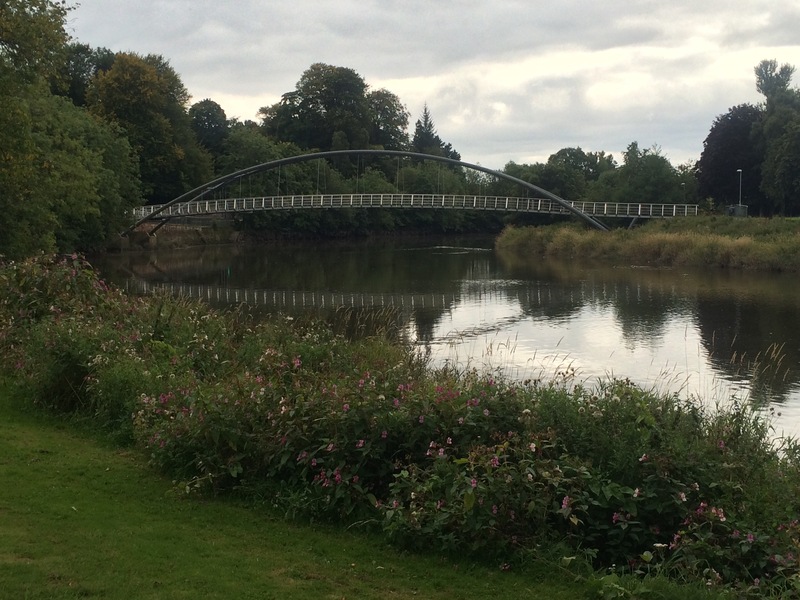 I had to walk about 3 miles along it before I could get onto a cycle path next to the river again for the last stretch into Dumfries. The tide must reach up a long way because the river was flowing the wrong way! I found my destination and immediately went out shopping for a brush to clean my boots. I bought a feast from Tescos and decided to have a night in as I was pooped. I wasn’t too disturbed by the very loud band playing in the pub until 2 am. I was staying right by the site of Grey Friars Monastery, where Robert the Bruce slayed the Red Comyn in 1306 to pave the way to Scottish independence. History everywhere.